Welcome to the Testimonials page. The customers below sent these Emails spontaneously after receiving their jewellery and have given their permission for their comments to be reproduced here. 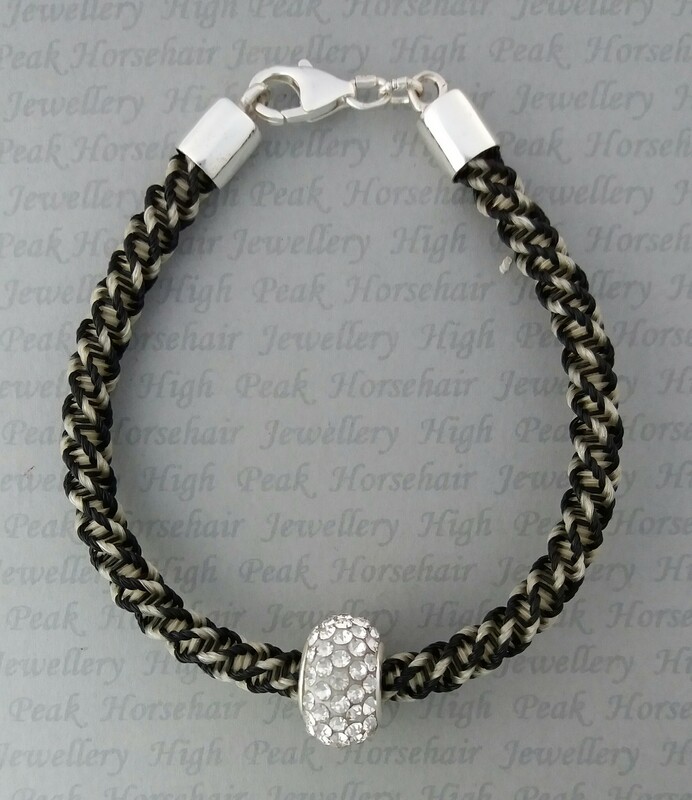 I have just received the lovely bracelet you made for me from my pony Cherry’s tail hair. 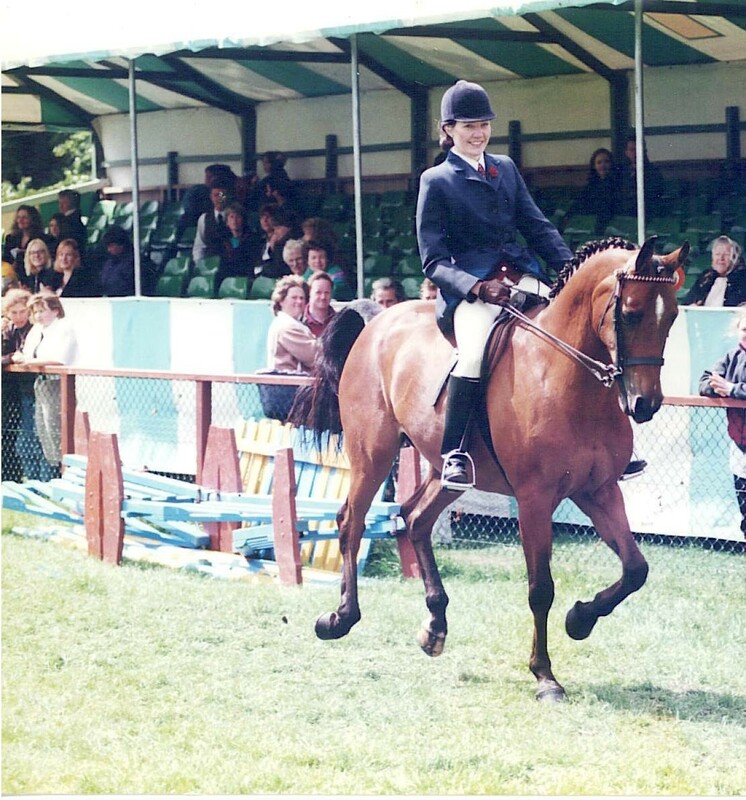 She was a very special pony and I had the privilege of owning her for 29 of her 30 years. 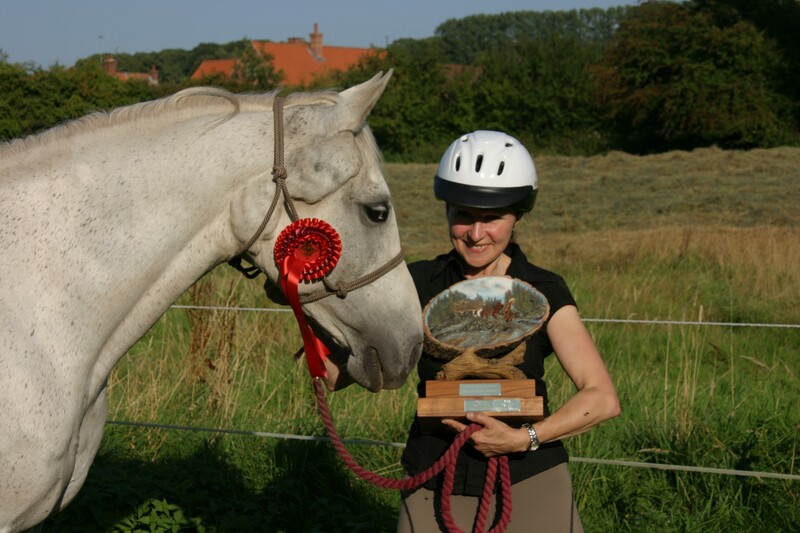 We did everything together, hunting, dressage, one day events, equitation classes and bridleway rides. I miss her so much but the bracelet has helped as I feel I have a part of her near to me. Please feel free to use this E-mail and the photo I sent you before on your testimonial page. I will certainly recommend you. 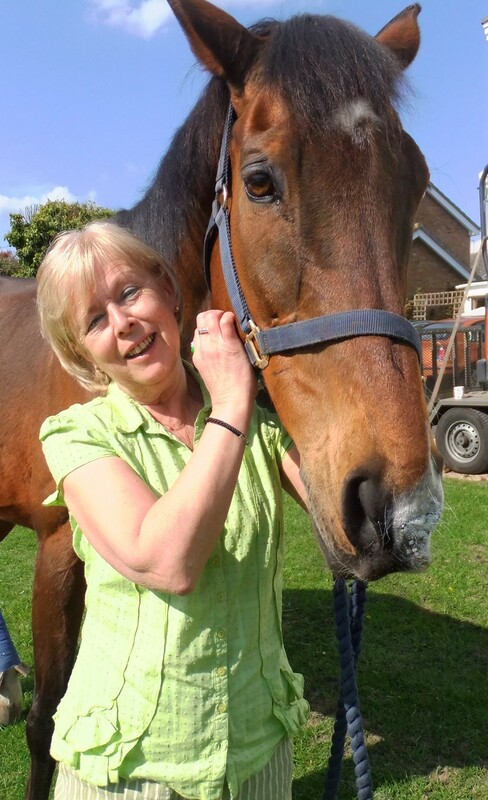 Many thanks, Patricia R.
I bought Whisper as a newly backed, green and spooky 6yr old. The first year was challenging, mostly spent reversing or going sideways to avoid monsters. 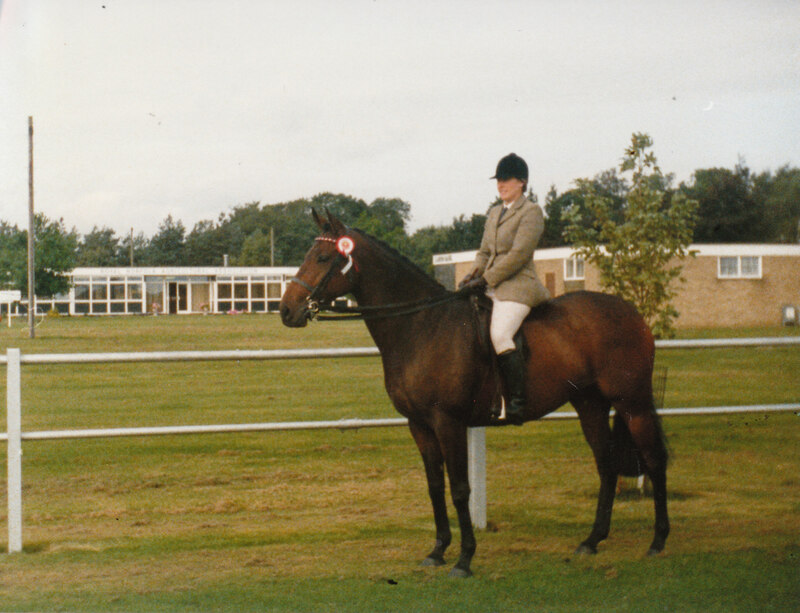 Eventually she matured into my pony of a lifetime, over her 36 year life we had a go at every discipline and went everywhere together - gymkhana, jumping, dressage, fun rides & even carriage driving. Driving people said I was crazy to drive a spooky Arab but my goal was for Whisper to take me to the church in style. 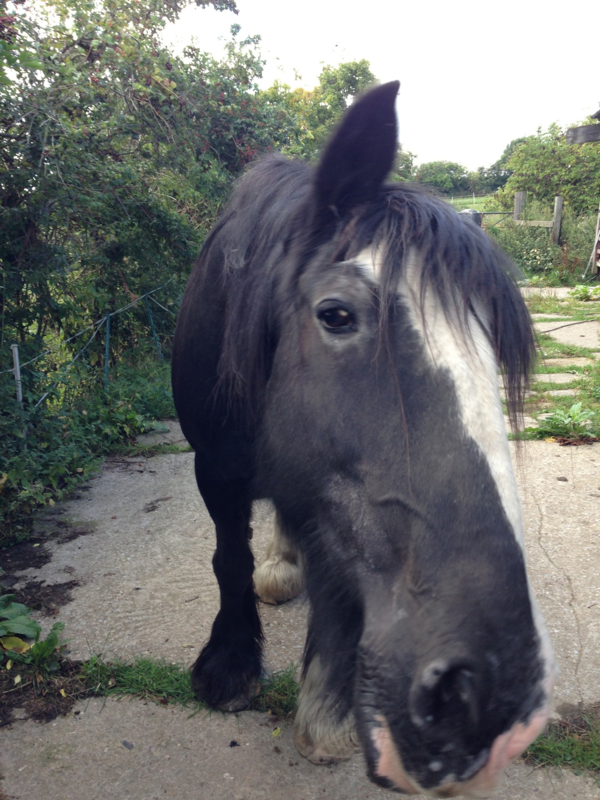 She was a real mare in the field but a proper lady to handle. I loved her to the end. It's taken over 2 years to face the emotional turmoil of losing my soul mate; finally I was ready to have my bracelet and tassel made. 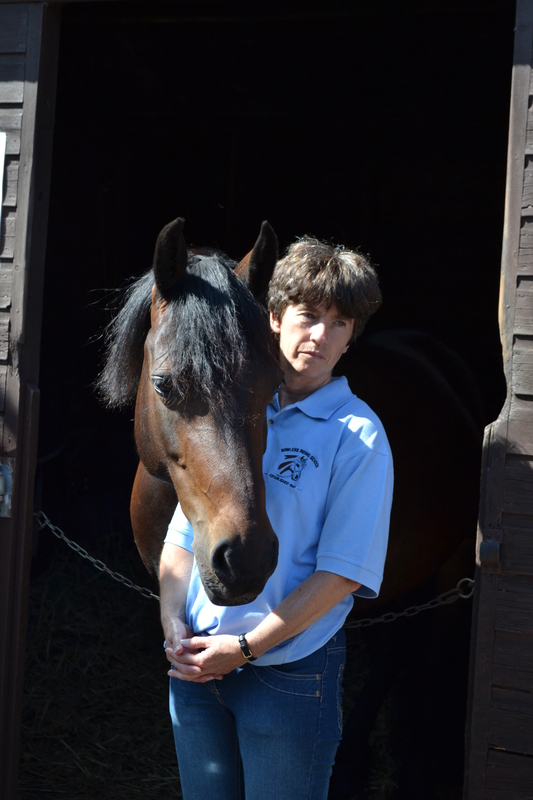 Kath has given me a wonderful memento and I'm so happy to have my pony close again. Caroline P.
Just showed my husband - he's amazed! Please feel free to put a note on your website to say we are thrilled and received excellent customer service. Thank you so much. 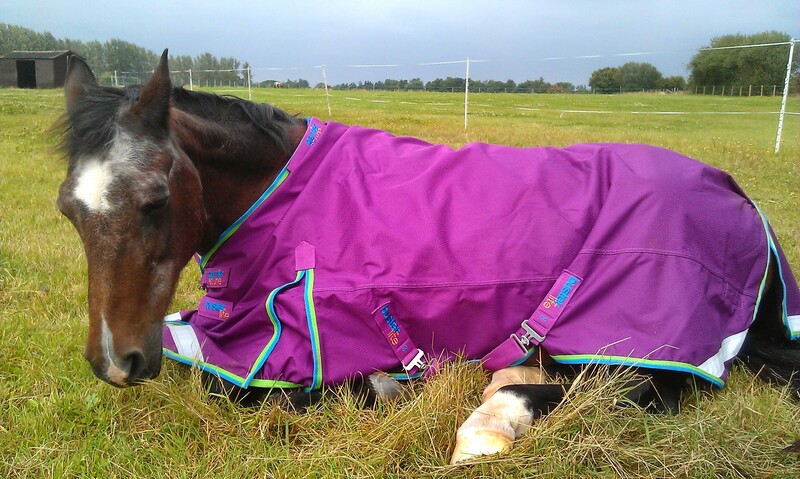 I will be recommending you to all my horsey friends!! Carol H.
Thank you Kath for making my beautiful bracelet from Tess's hair. I lost her two months ago after 21 years together so I will treasure it forever. My friends clubbed together to buy it for me and I will be showing it to them today. Best wishes, Wendy. Designed by Helen (Scarborough) in memory of her beloved Mr Chance. The jewellery is stunning thank you. I have had Beau for 26 years. 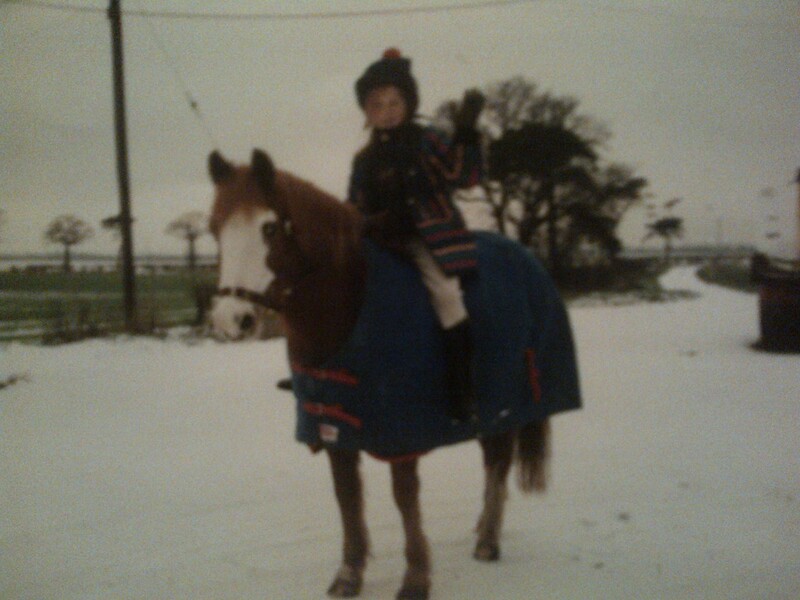 My first horse. My lifelong dream come true. He passed away 12 days after his 36th birthday, in my arms, just as I had promised the very first day he arrived in my life. We have been everywhere together. Uni, graduating, leaving home, getting married, always by my side. I miss him forever. The beautiful bracelet you made was exactly what I wanted. So intricate. It will come to the grave with me. The comments I have had are amazing, if not emotional. I can't thank you enough, Joanne. Hi Kath, I just received my bracelet for Christmas and it brought me to tears! 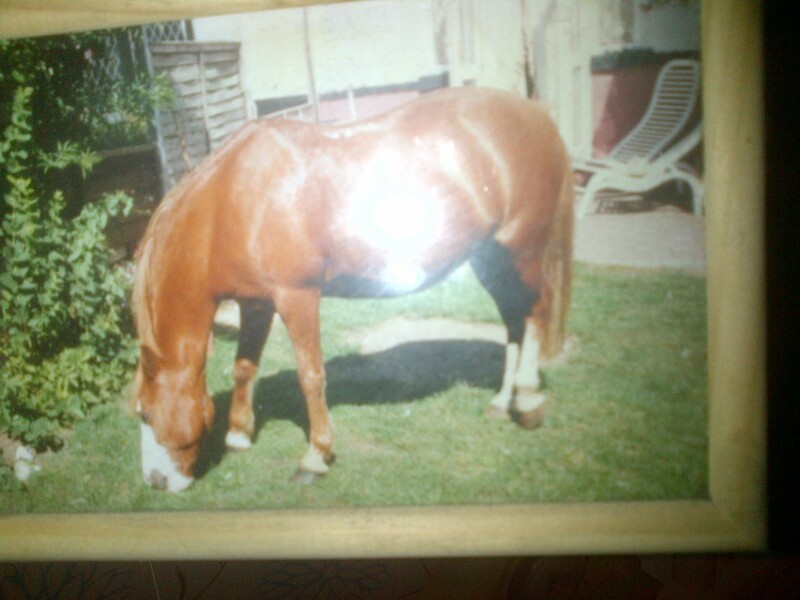 It's absolutely beautiful, and such a lovely way to remember my childhood pony. Thank you so much - I received my daughters bracelet today, it is beautiful. I am sure she will treasure it. Thanks Kath I have received the bracelet and it is wonderful. Have just given it to Sarah and she is thrilled with it! The bracelet was for a friend who lost he two old mares in November last year and a few weeks ago so to be able to have a bracelet with both of them together is lovely. Many thanks, Wendy. I would just like to say thank you so much for the bracelet. It looks beautiful and the detail is incredible! It means so much to me after losing Hugo a month ago. I can't thank you enough, you have done an amazing job! 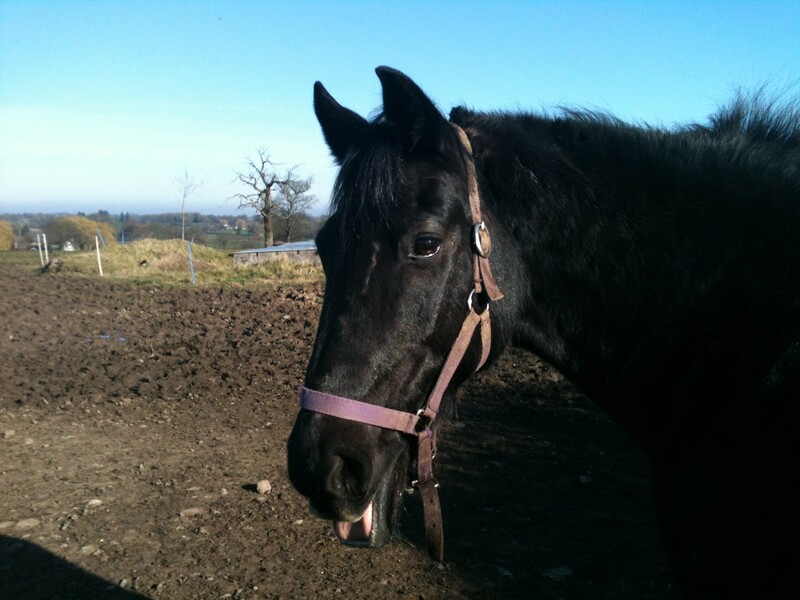 I thought I'd attach a picture of him so you can see just how perfect he was, and now I have a bracelet to match. Thanks again, Charlee. The bracelets and earrings have arrived safely, they are gorgeous and we are delighted with them. 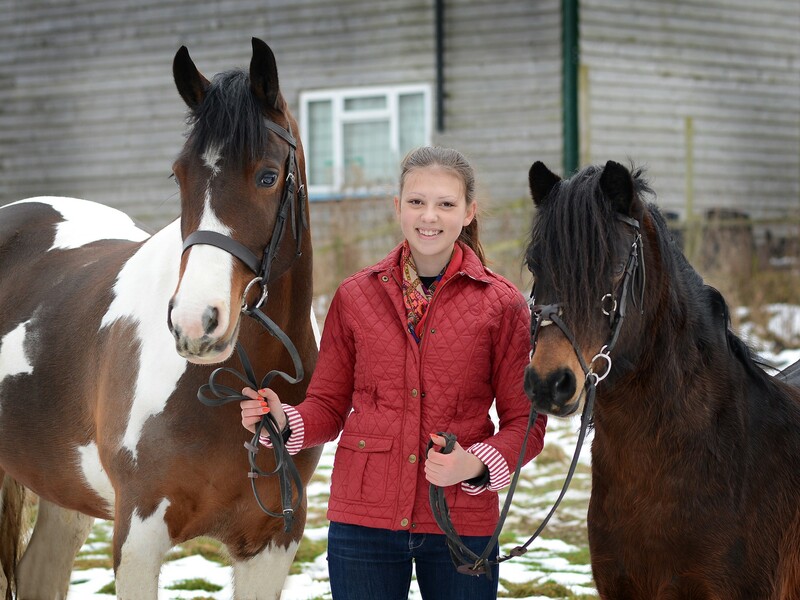 They are already much admired by friends and family and will be treasured and loved by us both. It is somehow comforting to know that, as well as the memories, we still have a part of Emily with us that is as beautiful as she was. Hi Kath, I love them. I had a Country Spiral, inlaid with gold chain, bracelet and pendant. 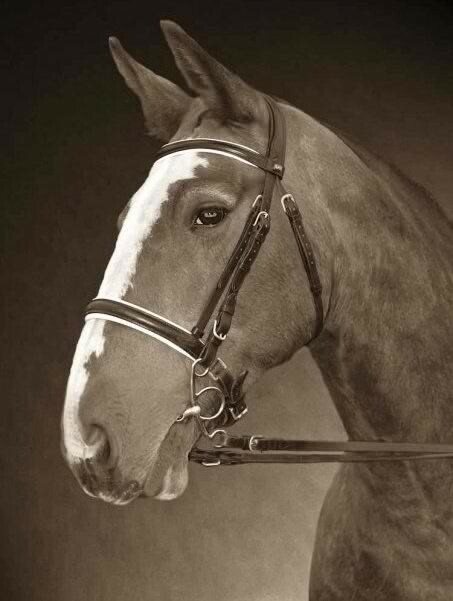 They are so beautiful and a fantastic reminder of my beloved horse Bramble that I owned for 17 years. Thank you so much. Thank you so much, all got to me safe and sound. They are beautiful, you have done a wonderful job. I bought a bracelet from Kath in 2012 and was absolutely delighted with it. 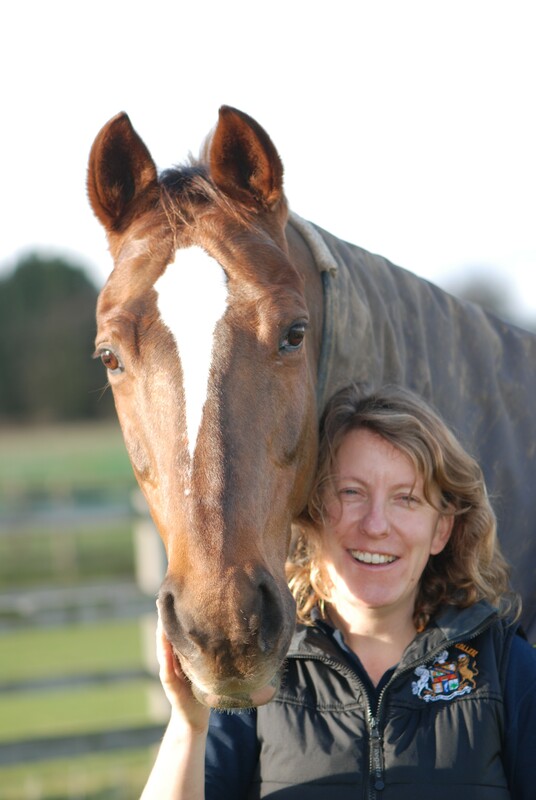 Sadly I lost my wonderful horse George at the beginning of January and got in touch with Kath to understand whether I had enough hair to make a second bracelet and also a keyring. Thankfully there was and Kath has been able to make me 2 further pieces which are a beautiful reminder of my wonderful loyal friend of 22 years. Thanks Kath, I just cannot say it enough and can assure you the pieces will be cherished forever. This is Tizzi, who was pts Nov 5th 2013. 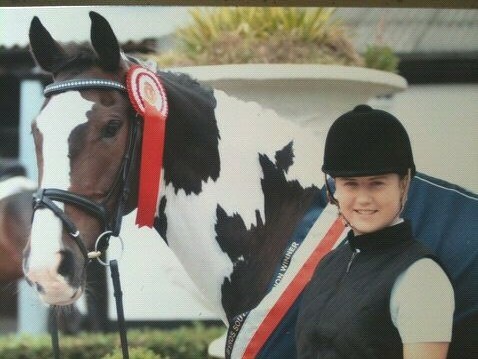 She was a very special horse, taught me so much. Kath has made a beautiful bracelet which will be a permanent memento for me. The craftsmanship is superb, incorporating the grey streaks that made her tail so unique. Every time I wear it I will be able to remember my fantastic partner, Tizzi. Linda. 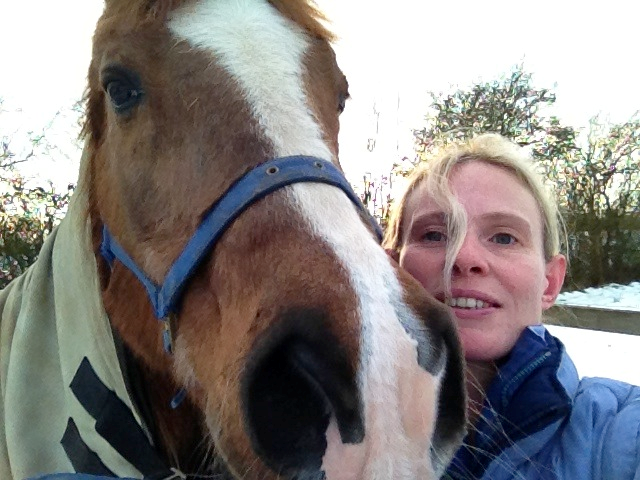 I am over the moon - thank you for making me such a delightful bracelet from my precious horse's tail. I had no idea what to expect but on opening I should not have worried as it is fantastic. Your craftsmanship is amazing - working with horsehair is not easy. It has made me even more pleased I have had the bracelet made before I no longer have Abi. It's so nice I can be with her all morning and wear her in the evening, how cool is that! Regards, Carol. Just to say a huge thank you for the lovely bracelet you made from Alfie's tail, I received it yesterday. I am thrilled to bits to have a bit of him I can take everywhere with me. 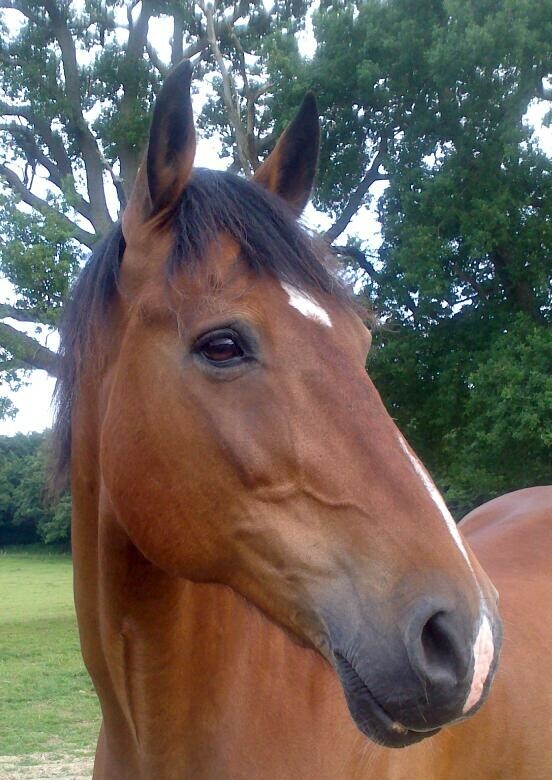 He was such a special horse and this is a lovely way to remember him. Many thanks, Clare. Thank you for producing such a beautiful bracelet for 'her indoors'. She absolutely loved it and now wants the matching necklace! Just received my beautiful bracelets, they are so amazing, really a lovely way to keep my horse with me, even after his passing. I am truly grateful for the care you put into making them. Thanks again, Terri Biddle. 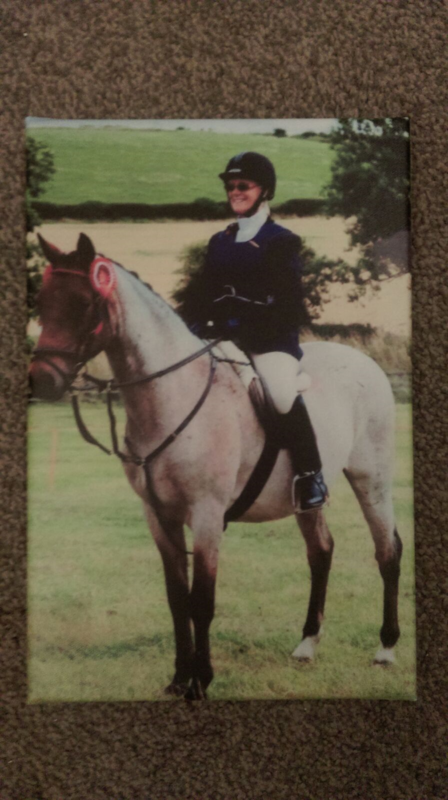 What a wonderful product this is, it's amazing quality, but best of all on top of that it is really pretty and the best memory I could have of my horse that will last for ever and ever. My mum also got one and she hasn't taken it off since the day it arrived!!! Thank You for thinking and selling such an amazing product!! Rachael L.
The jewellery arrived and is absolutely beautiful. 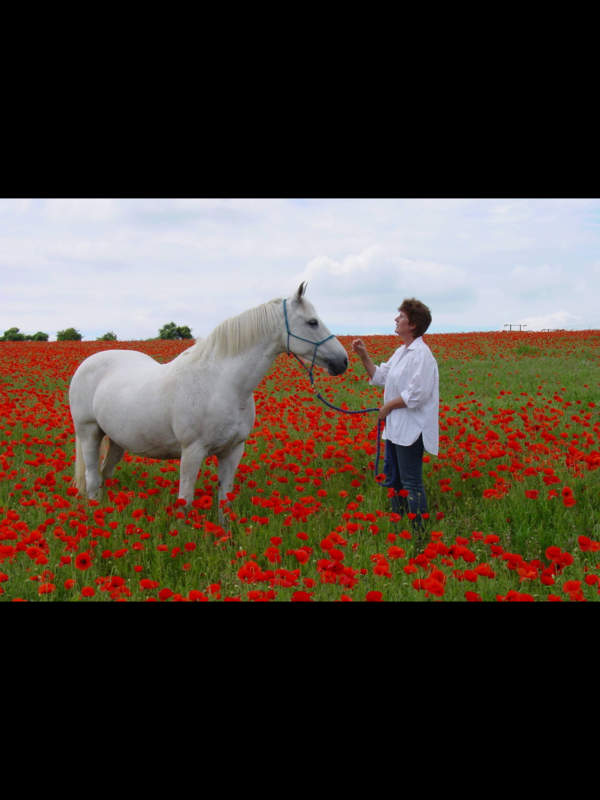 Thank you so much for helping me keep the memory of my dear horse Angel close to me with such quality and lovely workmanship. My mother was in tears when she received her bracelet for her birthday as she loved the dear old girl as much as I did, so thank you so very much from us both. Kindest regards, Mary. I picked up my Country Combination bracelet today. It is lovely, and I particularly like the three different types of braiding in one piece which make it very unusual. The pictures on your website are very good, but it is even better in real life! Thank you very much, it is beautifully made. Best wishes, Alice. Thank you so much for the beautiful bracelet for my daughter Chelsea's 21st birthday. It really is unique and was completed so quickly. 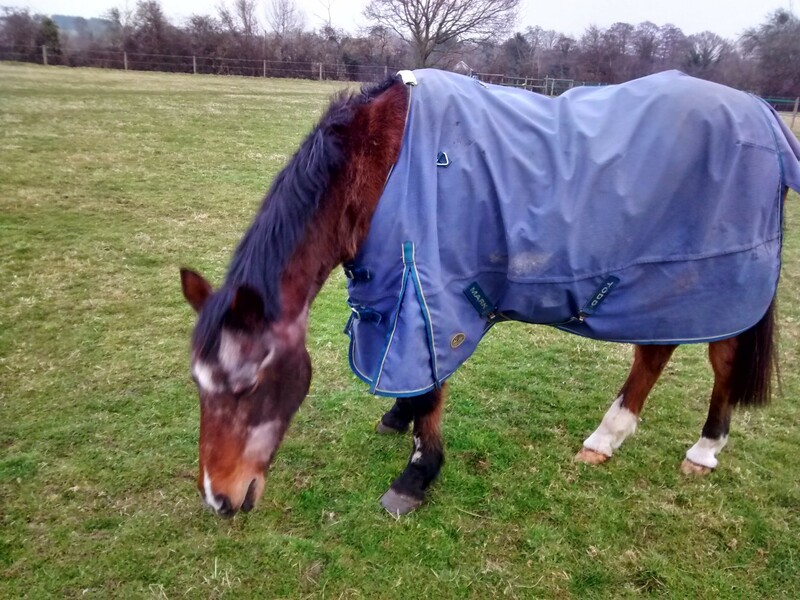 She will love it and it will be a lasting reminder of her horse Tango who she has owned and had many successes with in the last ten years. Just wanted to let you know that my bracelets arrived yesterday safe and sound. I'm really very pleased with them and I'm sure Janet will be too when I give her one for her birthday. 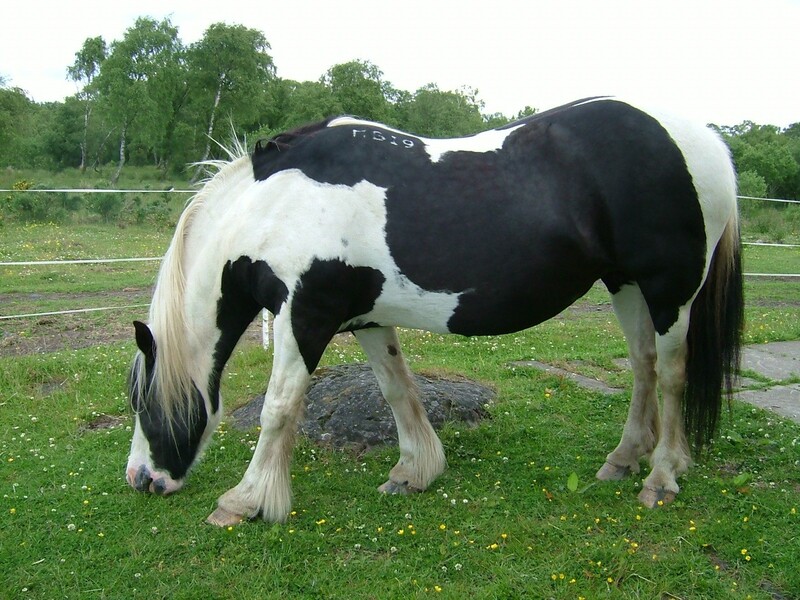 They are a lovely memento of a lovely pony and so pretty. Many thanks for making them so quickly for me, I'm very grateful. Best wishes, Morag. 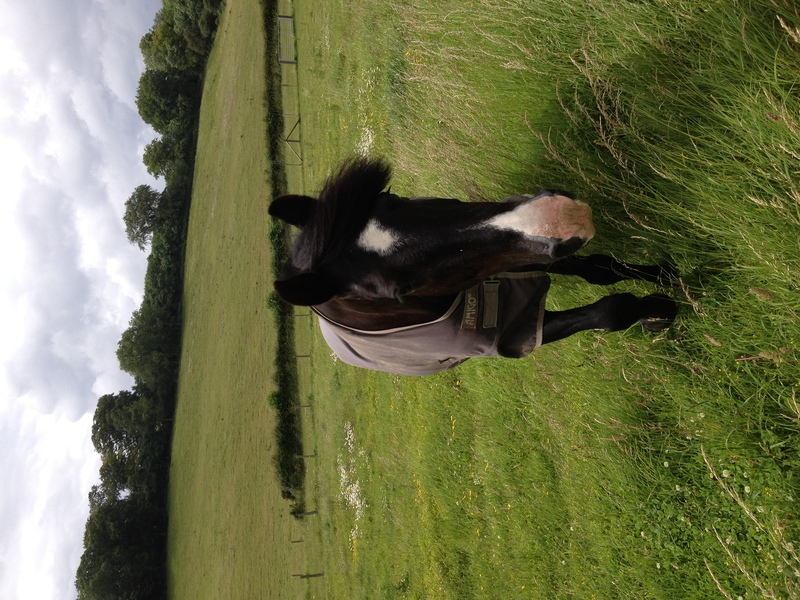 T hank you for making my horse's tail into a wonderful gift from my Aunty Ann. Yet again you have done a fabulous job and having had collections to get horse tail bracelets for friends, I now have my own. It arrived the day after I had some bad news about my horse, Henrietta. She has a tumour on her third eyelid and the vet wasn't sure we could do anything for her. As it is he now thinks he can and she has surgery at home next week. 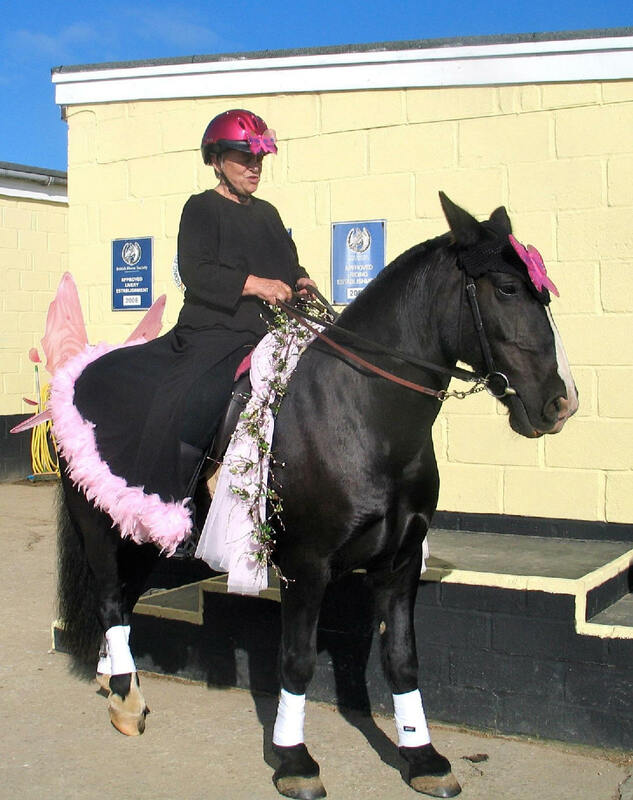 I have known Henrietta since she was 3 in a local riding school. 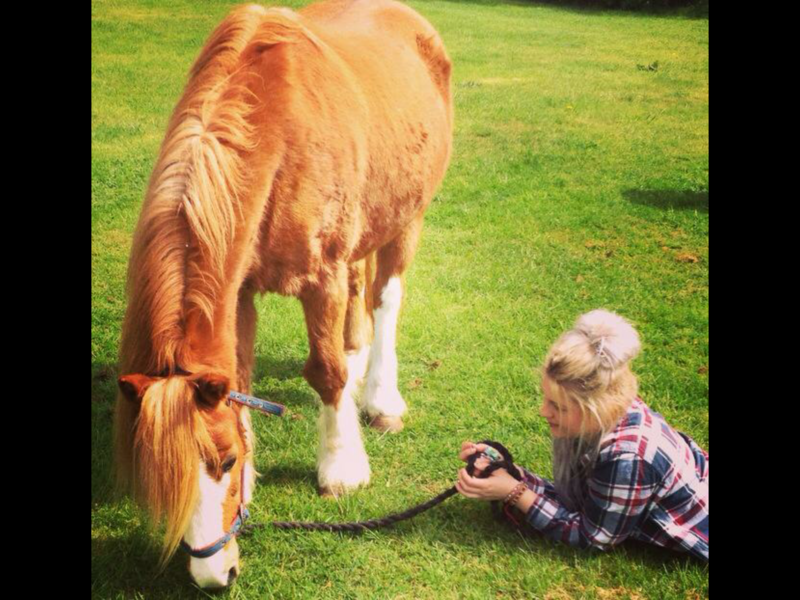 When my family moved to Scotland I travelled back every holiday to spend time with her and do lots of horsey things. 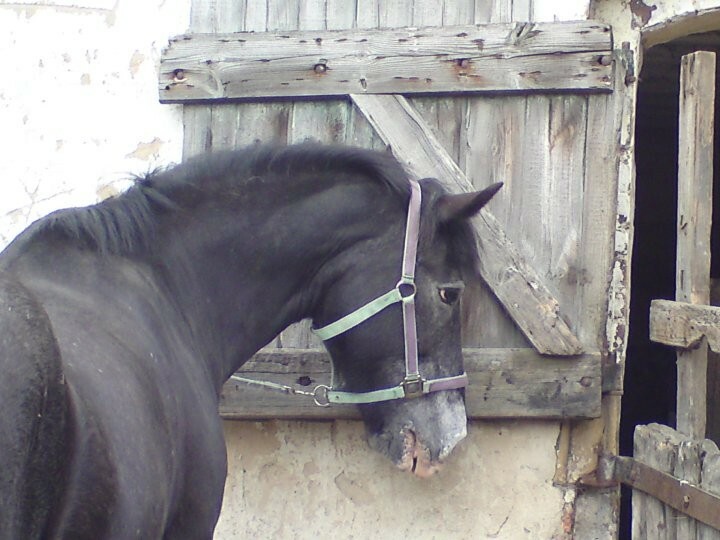 When the riding school closed eight years ago an auction was held to sell all the horses and ponies. My partner and I along with the local RDA group clubbed together what money we had to try and buy Henrietta at the auction. Sadly, she sold for more than we had. The lady who bought her heard about me and some very good friends donated funds to buy Henrietta from the lady for what she had paid. I have cared for her since and Henrietta is now 28 years old. 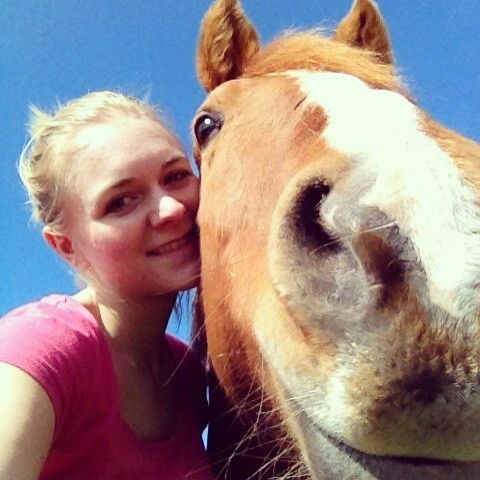 She is my best friend, and occasionally my worst enemy (my nose isn't quite straight from being caught by her hock when picking her feet out once). 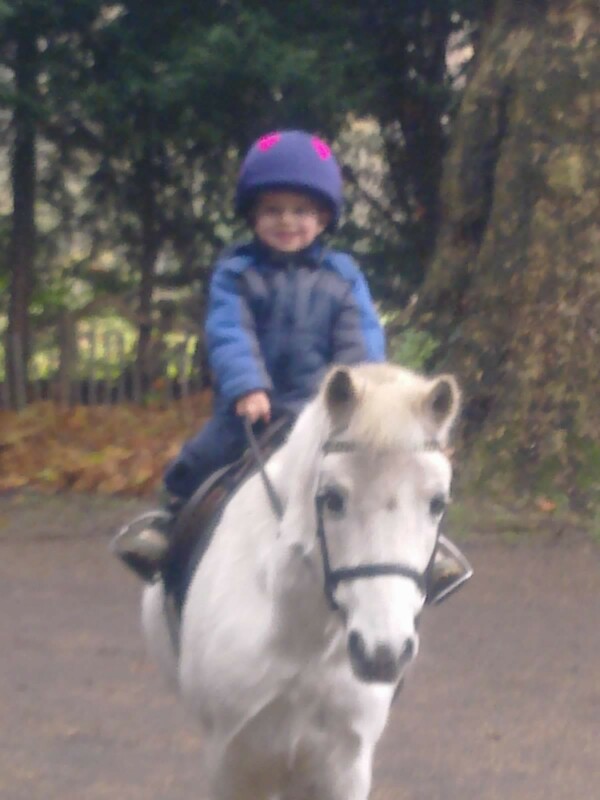 We still potter around and sometimes lead my son on my friend's pony round our track. 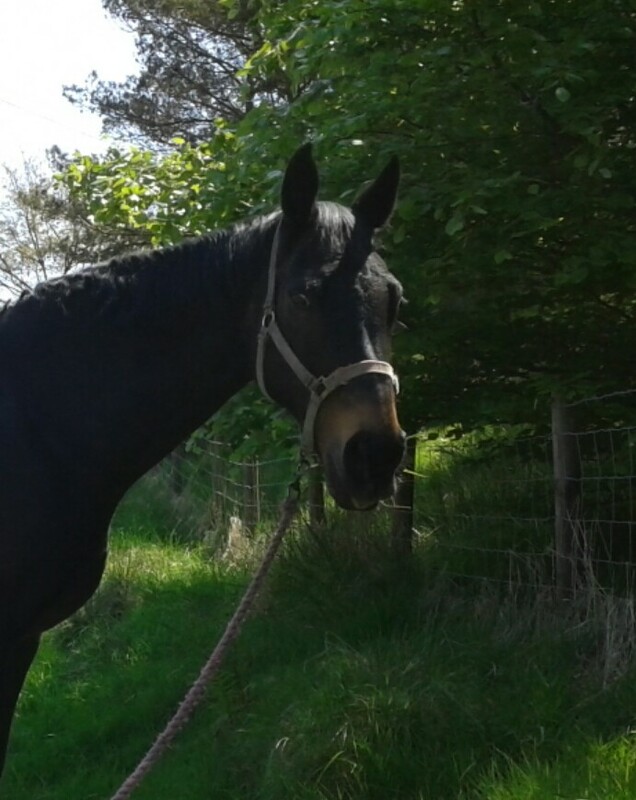 Fingers crossed her op will work next week because then if not as soon as she is suffering I will have to make the hardest decision of my life. 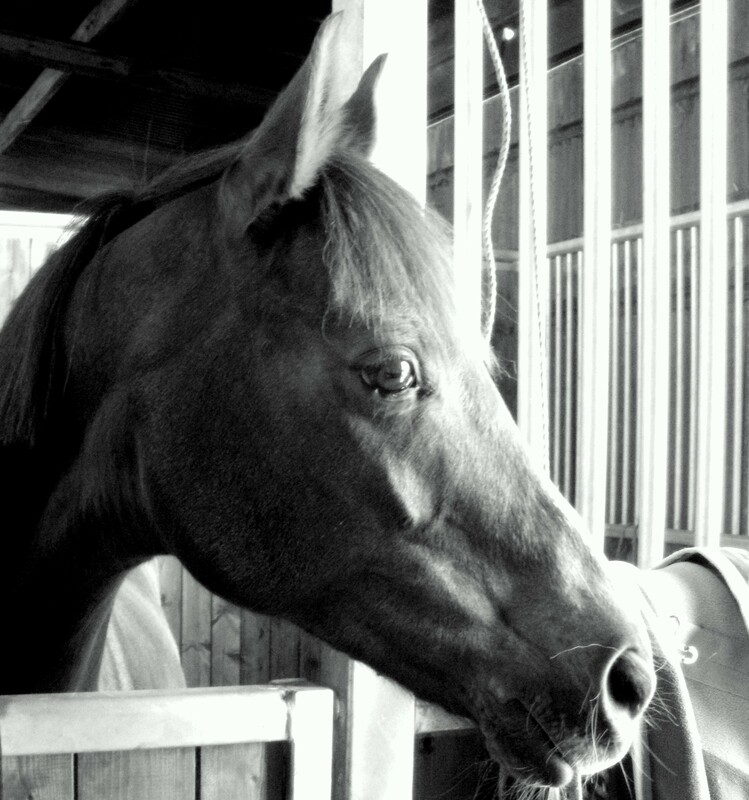 I will never have another horse like her and will be heartbroken when the day comes. Again, many thanks for my lovely bracelet. Rachel. 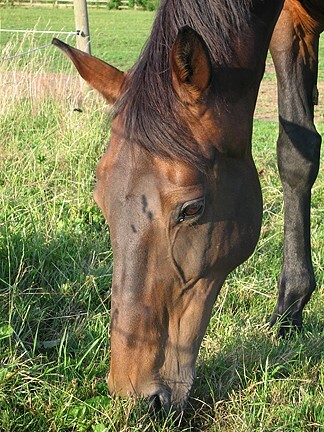 I enclose a photo of my horse Will Scarlett. 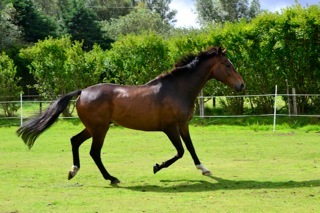 We purchased him as a 5 year old and very sadly lost him mid-December last year at the age of 29. 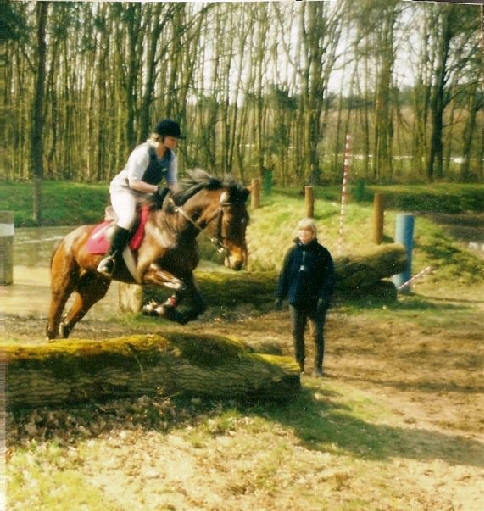 He was a real gentleman and we had much fun and success with him over the years in Small Hunter/Riding Horse classes. To receive such a beautiful bracelet from you, I couldn't have asked for a better memento of 'Will'. Thank you so much. M.W. A BIG thank you for the wonderful bracelet you made for me. I could never have wished for a nicer keepsake of my horse Dreamabuck. LM. Thank you so much - the bracelet has arrived (I can't thank you enough for getting it to me before Christmas!). It is beautiful and I am sure Jim will love it. 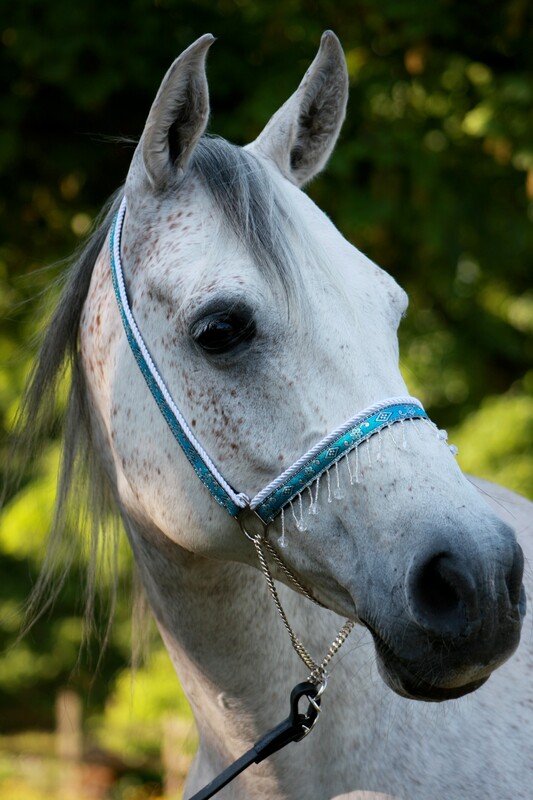 I will most certainly be asking you to make another bracelet (my horses, next time, for me!) just as soon as I have saved a few pennies. Thanks again and I hope that you have a lovely Christmas and Happy New Year. Kind regards, J.
I have received my jewellery. Thank you very much, I love it! I hope that you have a great Christmas! I have just received the keyring that you made and it is really lovely, thank you. I ordered it for my husband for Christmas. 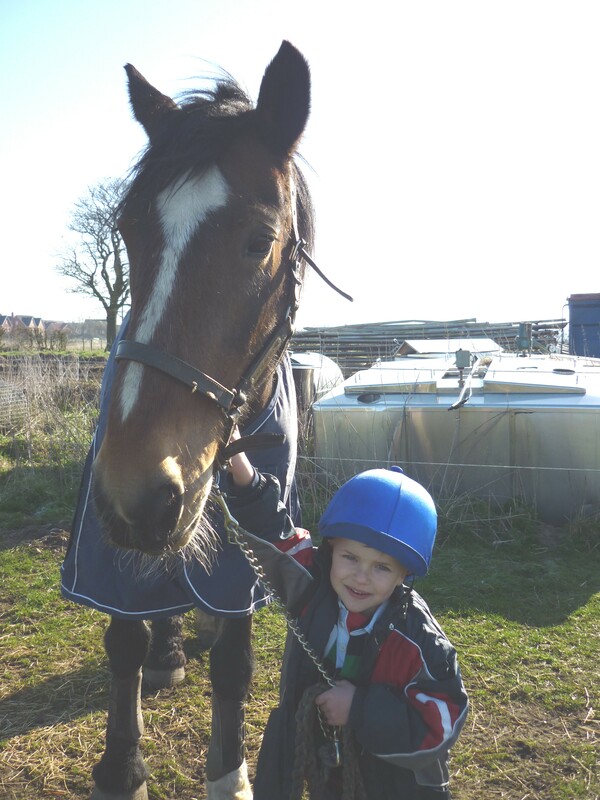 Eddie is his horse of a lifetime and now retired he is still a very big part of our family. I know Ian will be delighted. Thank you again and happy Christmas. LP. I got to work and the bracelet was there. It is lovely - so well made and presented. It fits me perfectly and hopefully will fit my daughter. Thank you so very much. J. Received and delighted with product, thank you. Ann Barrett. Received the parcel this morning. Was so excited BUT not at all prepared for how beautiful it is!!! You are an absolute genius!!! I now cannot wait for Christmas to give it to my little one. Thank you so much for all your hard work. You really are a true artist. Will spread the word far and wide about your wonderful business!! Best wishes and all the best to you and your family for the Christmas season and the new year. S.S. Thank you so much for my pendant. I collected it from the parcel office. I am delighted. Brilliant service. SB. Thanks so much for the lovely bracelet, I now can still touch Harvey. 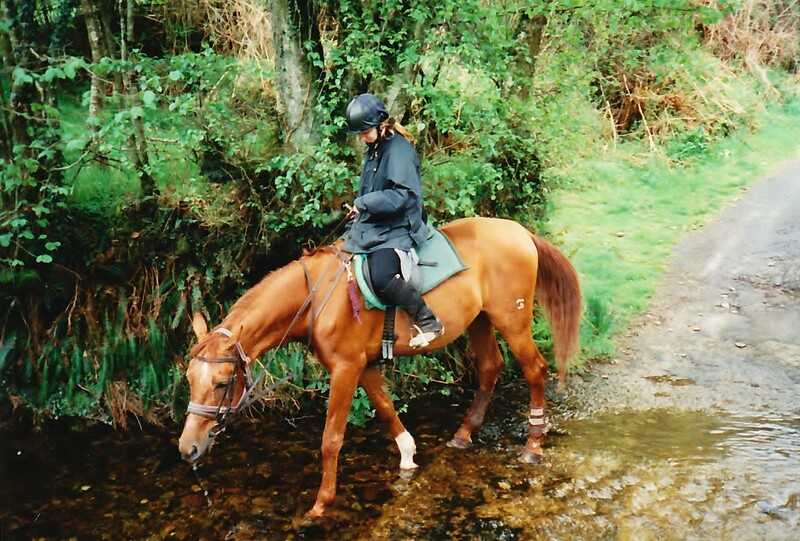 He was my best friend and I wish I could have repaid him for every mile he carried me (mostly at a gallop!) for the last twelve years. It's almost a month since I lost him so the bracelet is a great comfort and I wear it every day. 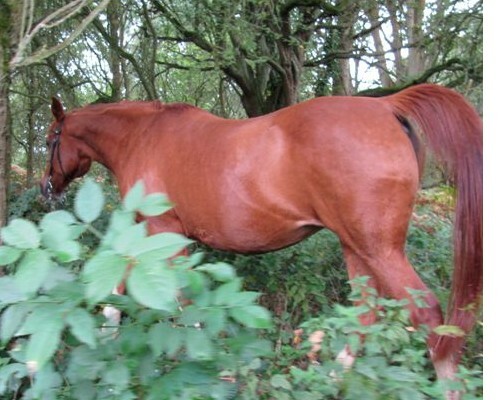 I think now he's free he will be galloping around horse heaven. JW. Thank you for the absolutely fantastic work that you have done with Arnie's tail. I think my daughter will be absolutely thrilled - as am I. 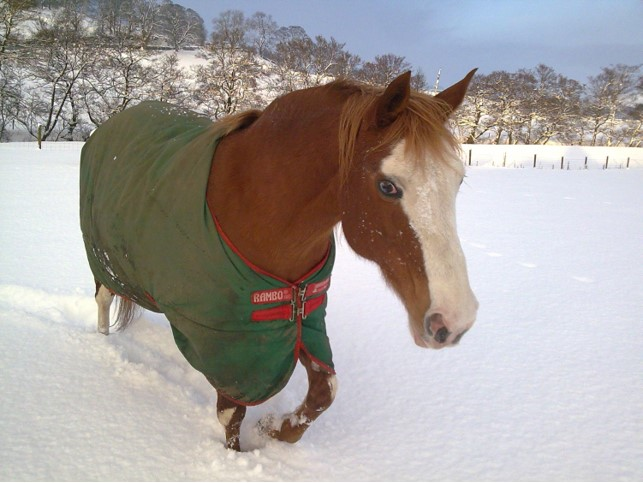 It will be such a lovely reminder (not that I need one) of the most gorgeous and loyal horse I ever was fortunate enough to have owned. NH. Neggy was a super pony and gave her best all the time. She was due to be put to sleep when my husband bought her for a surprise for my birthday when she was 13. 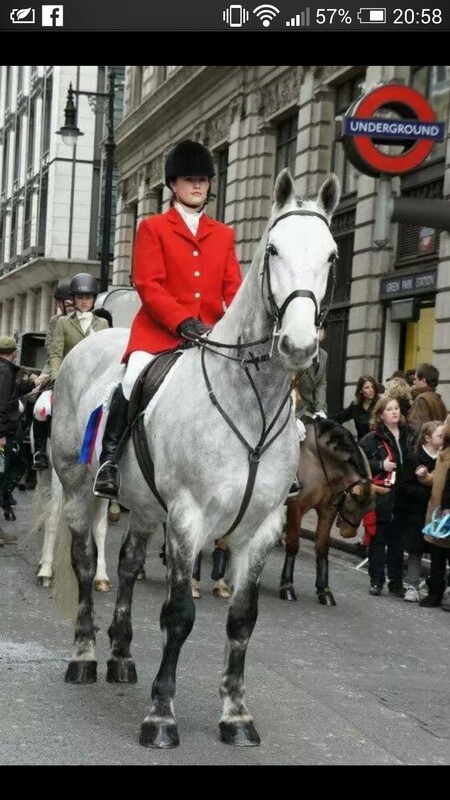 Although she was fit and healthy she could not complete her job of 3 chuckas, being a polo pony for the Light Dragoons Regiment serving in Germany at the time. She moved to several places with us in Germany and then we moved back to England nearly 6 years ago. All the time she settled in fine and was fun to be with and I loved her with all my heart. 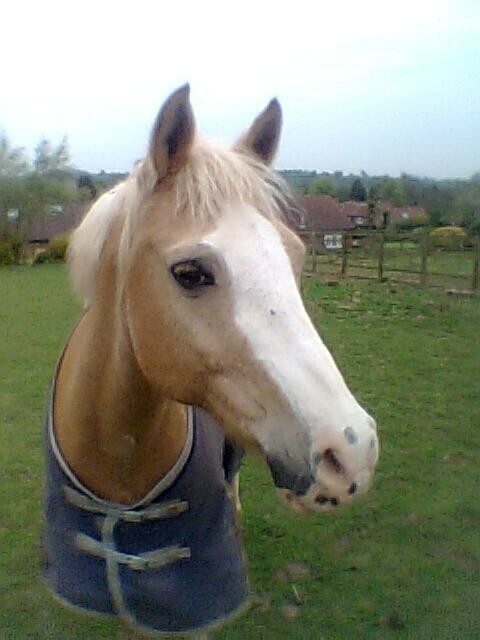 She was the fastest horse I have ever ridden and the fastest horse on any yard I have ever been on. She had a quirky way of rolling, sitting on her bum and shuffling round, really funny to watch. 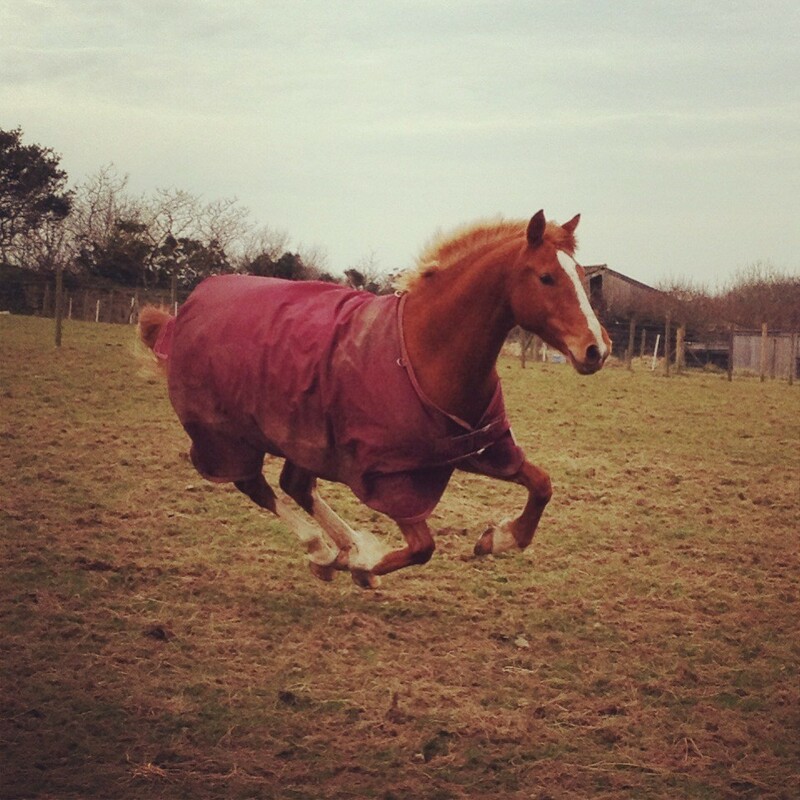 Everyone I know says I will never get another pony quite like her. 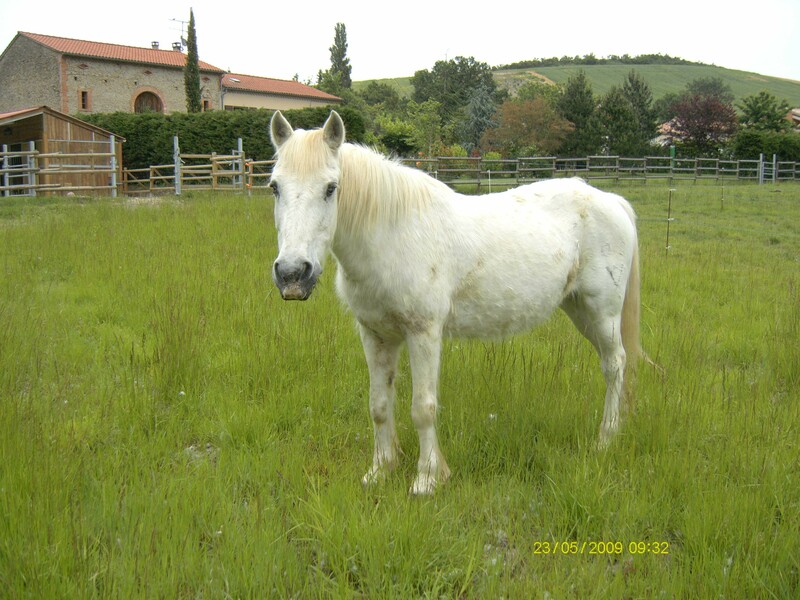 She was put to sleep in August 2011 aged 31 years. She has given me the most beautiful times and I will miss her every day. PS. 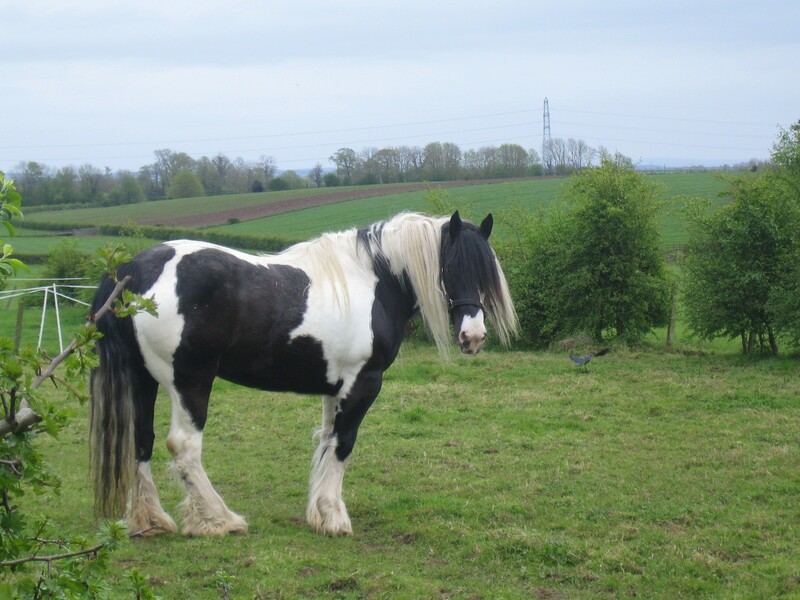 My husband said it was the best £300 he has ever spent .... she will be playing polo with her friends in the green fields above now. Just to say I am absolutely delighted with the bracelet. It will be an emotional moment, no doubt, when I give it to my daughter for her birthday next week! Many thanks, H.C.
Hi Kath, bracelet arrived today, it's absolutely beautiful and thank you so much for making it so quickly for me. It is to be an 18th birthday present and I know Victoria will be delighted with it. Thank you again, J.E. Thank you very much for making my bracelet. It was the most amazing 18th birthday present! 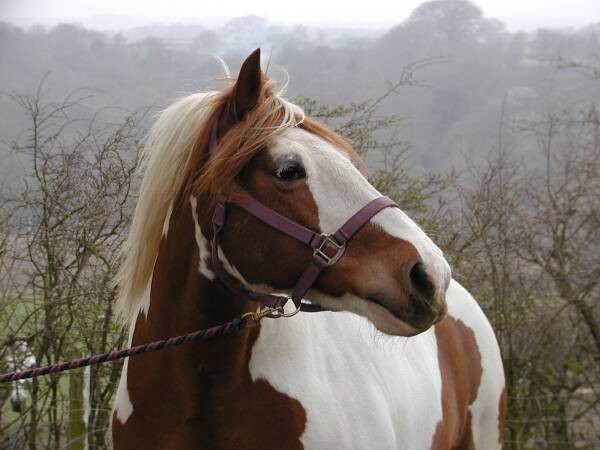 It is unique and will stay with me forever - I will probably end up with a collection from lots of different horses! 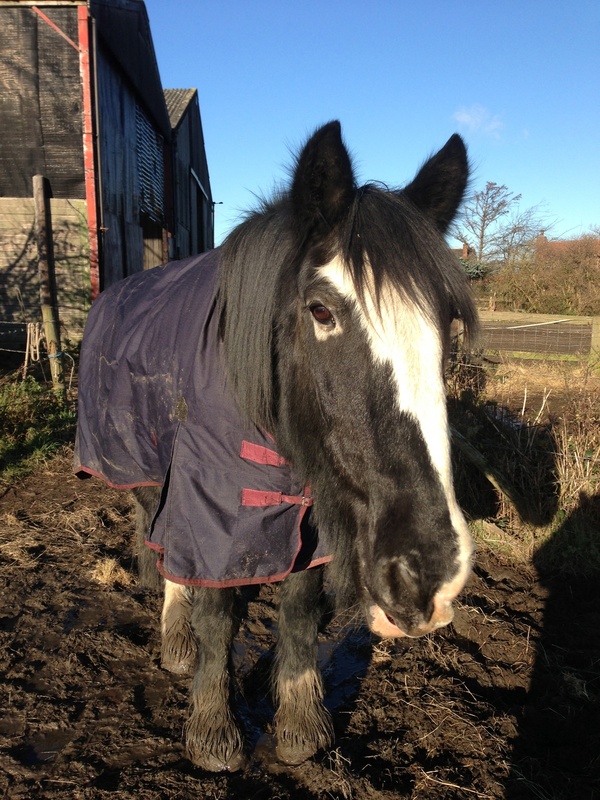 My pony Wilma means everything to me so it's great to have a lasting memory of her. Thank you very much for making it. Sophie. I have received my bracelet and I just wanted to Email to say thank you. 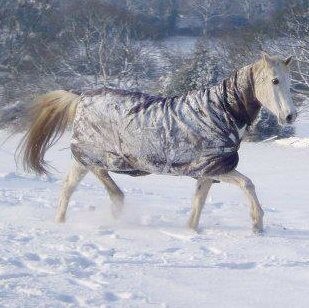 It is absolutely beautiful and a lovely reminder to me of my beloved mare. I can't believe the workmanship that has gone into making this. I absolutely love it. Thank you again. Very kind regards, Demelza Rowland. Today my bracelet arrived at work. I was overwhelmed when I saw it - it is so beautiful and will be so treasured as Bert himself was. It is only four weeks since he was put to sleep and I cannot even mention his name yet without breaking down in tears. I am going to send you in the near future hair from my mare Violet and also some more hair from Bert to have worked together into a bracelet. Thank you so much again for the wonderful workmanship and service. S.R. Thank you so much for the three bracelets you made for me. You have no idea how much they mean to us. You have done an amazing job. I deliberated long and hard over which style to choose and am so happy with the outcome. Thank you again. 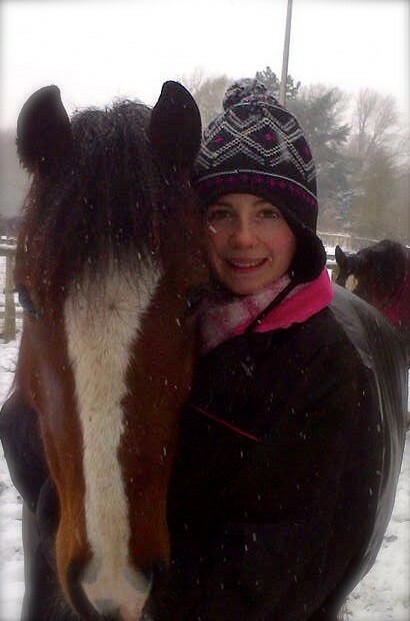 Maddy may no longer be on this earth but the bracelet is with me always and helps to keep my very special horse close. Fiona. I loved my bracelet from my best pal 'Emire'. 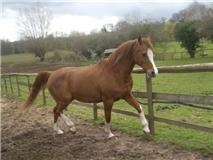 He was a week off 34 when he passed away in his stable on 1.5.10. I had owned Emire for 31 years so it was a huge wrench to lose him but I take comfort from knowing I always have a little bit of him still with me with my bracelet. Thank you. Marion. Our bracelets arrived today and are absolutely wonderful. They are beautifully made and have very high quality fittings and clasps on them. 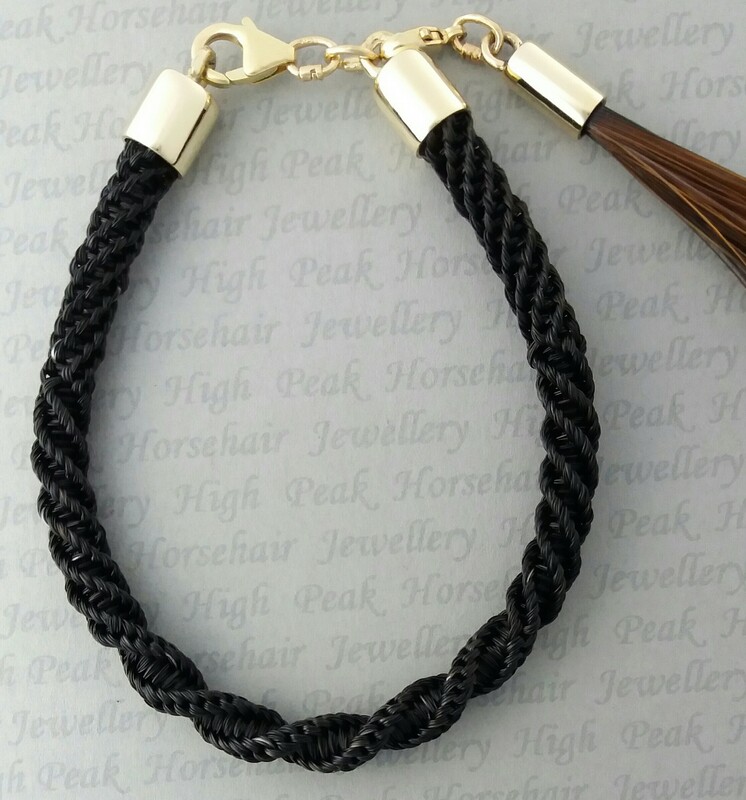 My whole shopping experience with High Peak Horsehair Jewellery has been excellent and I highly recommend the service to anyone considering a unique piece of jewellery. 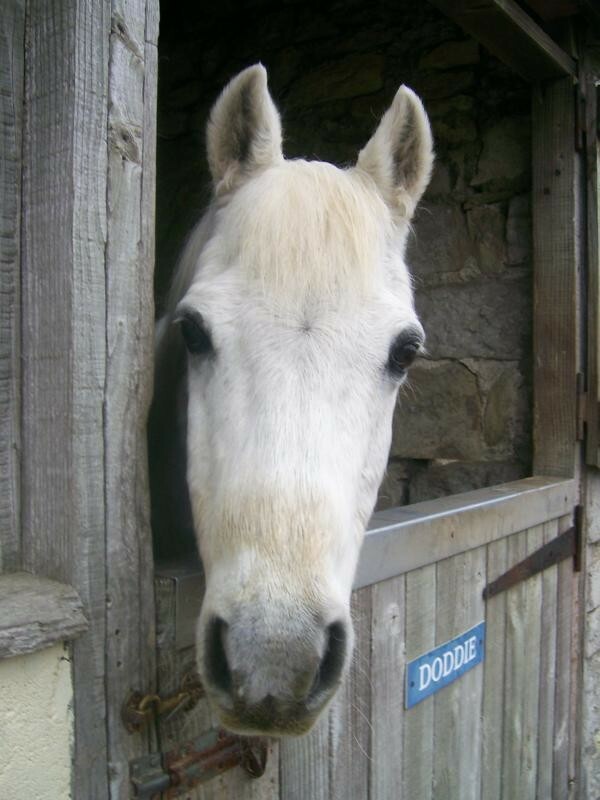 Our beautiful pony Doddie was nearly 31 years when we lost him last month and we now have an extra memory of him to treasure forever. My daughter and I are thrilled - thank you Kath and thank you Doddie for touching our lives. JH. Many thanks for the bracelet, received safely. Pat loved it. I would be delighted for you to use my comments, both for Pat's bracelet and the Country Loop pendant and Country Twist bracelet that you made for me in 2007. They are the most lovely keepsakes of my dear William, I get great pleasure from wearing them both. Kind regards, Norma Green. The bracelet arrived this morning. I am thrilled to bits with it - you are very clever. Many, many thanks. Regards, Sheila Maddern. 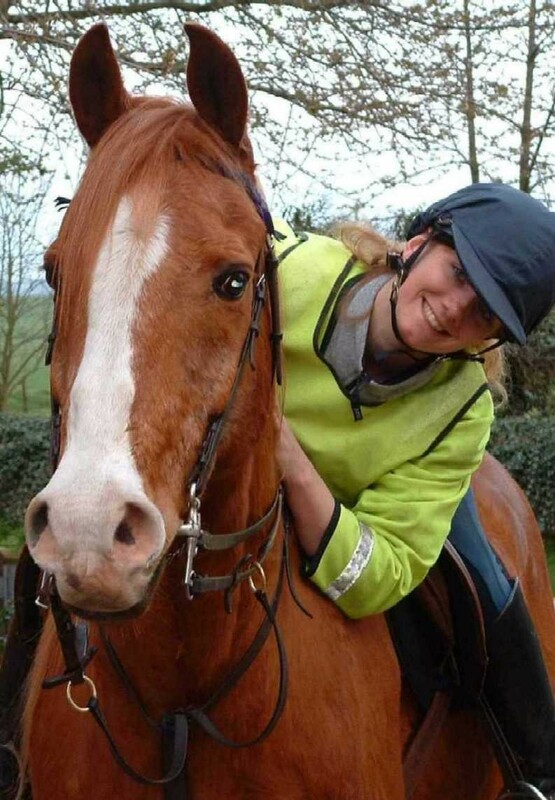 He wasn't just a beautiful horse, but a fantastic friend to all who knew him. You have been the light of my life for many years and life will never be the same again without you by my side. I was extremely blessed to have met you my friend, you will be forever missed. These pictures of Cezare were taken by Gill's daughter Roberta. Just to say a huge thank you for the bracelet - it's beautiful & Jo was very pleased with it. She lost her horse a few weeks ago so she will always have a piece of her with her now. Thanks again, H.B-J. The bracelet arrived yesterday, safe and sound. It is absolutely beautiful, thank you so much. My wife will love it! I was showing the guys at work. They couldn't believe it was made from horse hair! It really is remarkable. Just a great big thank you for a wonderful service and a truly beautiful bracelet. Many, many thanks, my daughter was overwhelmed!!! Sharon Petto. Thank you so much, the bracelet arrived and is stunning. I know my mum is going to love it, it's perfect for her. Many thanks and merry Christmas. Shelley Tomlin. Thank you for the bracelets which arrived safely. I am thrilled with them. Just thought you might like to know that on mine I have put a few of my Pandora charms on it. They fit lovely and look great. Viv. I am emailing to say thank you for a wonderful, treasured reminder of my beautiful companion, Nobby. The bracelet my friend bought for me is beautiful and I will treasure it forever. Thank you for providing such a wonderful service. Lucy King. Belated thanks for making the bracelet. Just to say my wife is delighted with it and hopefully it will be a lasting memory of a horse that she adores so thanks again. Regards, Malcolm Armstrong. Thank you so much - I was quite emotional when I saw the bracelet, to think that is all that remains of her apart from wonderful memories, but what a beautiful memento to have. I'm sure Emma will be thrilled! I would also like to add that your craftsmanship is excellent. Heather M.
Kath, got my bracelet today, was well worth the wait and I'm glad I chose you to produce something that is so special to me. I will pass on the cards and let everyone see my bracelet. Thanks, Denise Beattie. Many, many thanks for the bracelets, they are absolutely beautiful and we are thrilled with them. 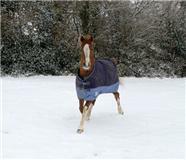 They are such a wonderful keepsake of our very precious mare. Thank you. Best wishes, Antonia Le'vell. Bracelet safely delivered. Thank you so much. It's so lovely. A really wonderful reminder of my beautiful boy. It is a great comfort to be able to still have a part of him with me wherever I go. And thank you for returning the unused hair. Best wishes, Sue. 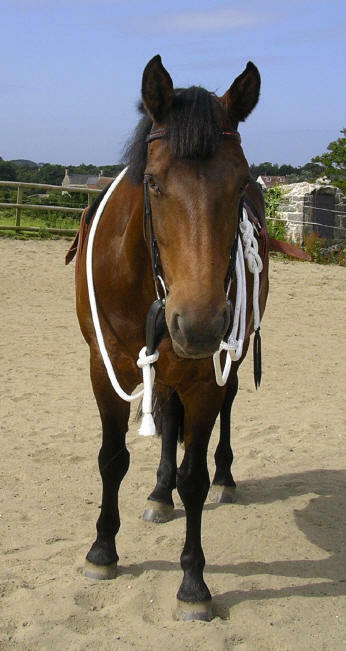 I would like to thank you for the beautiful pendant you have made from the hair of my two horses. The pendant arrived today and it is stunning, it really lifted my spirits to know that I can have my two horses close to me again. 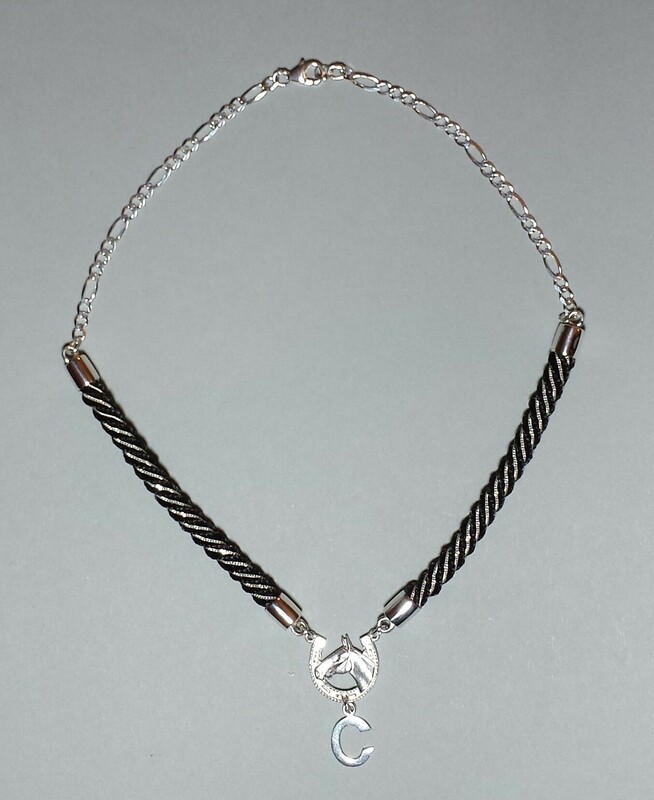 I have put the pendant on a silver chain and put it on immediately. Thank you for doing such a wonderful job. Jayshea Wilbrahim. Just arrived safely and is absolutely stunning. Hettie’s first reaction is that it is an heirloom in the making. Thank you, Sally Murfitt. Many thanks for the safe delivery of the bracelet. I am very pleased with it and am about to post photos of it to those that contributed. I am sure Lucy will be very pleased with it when she gets it. 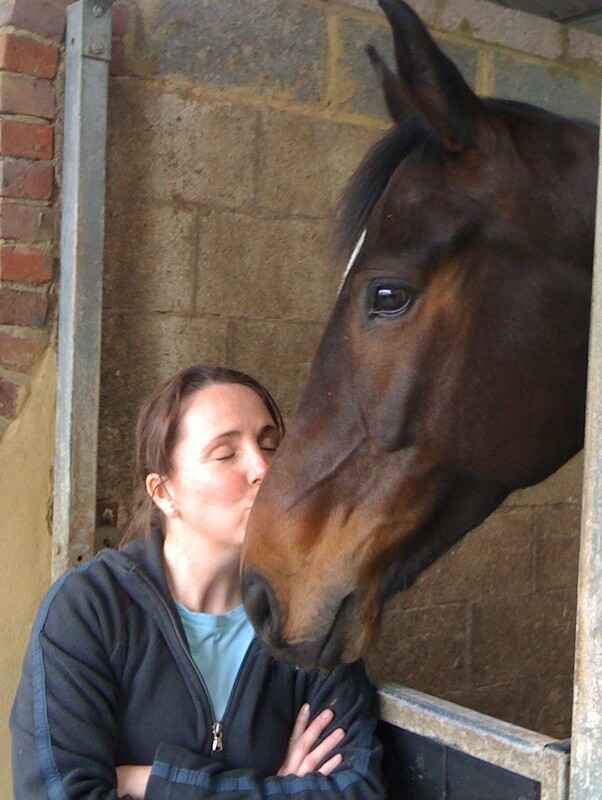 I think what you do is a lovely way to remember our four legged equine buddies and your jewellery is very beautiful. I was a little spoilt for choice on what to choose but am very pleased with the result. Rachel Ponder. Our items arrived today and we are delighted with them. May well send the hair back for more in the future. Your work is a credit to you. Our bracelets will be treasured for a long time to come. Regards, Barbara Schofield. Thank you for my Country Charm bracelets, they are lovely. We have been very pleased with the service and I have recommended you to several people who have asked about my bracelet, which I never take off. Thank you, Debbie and George. I ordered the bracelet for my friend who had recently lost her pony. She was absolutely delighted with it and, of course, very emotional. Thank you so much for prompt service and the high quality of work. Jill Kerr. My bracelet has arrived. Thank you very much, it is lovely. I have two bracelets that you have made for me so I am also a returning customer. 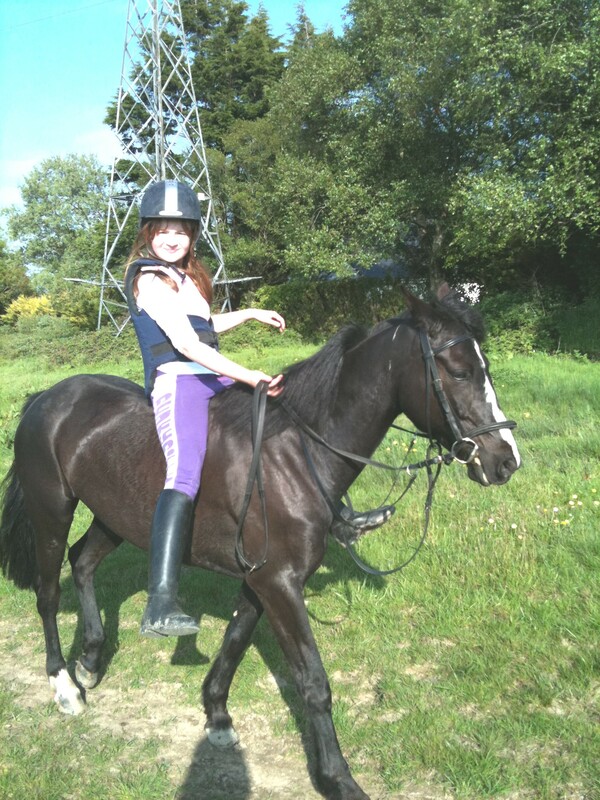 If I was to get a third horse I would be back again!! Kind regards, Gillian. Thank you so much for mum's necklace. It's beautiful and I know she'll love it. You were so kind having it ready for her birthday and everything from the presentation box to the certificate is really professional. I am so pleased I found you on the net and I will keep your cards in case any of my horsey friends ever want something making. I would be happy to recommend you verbally if someone wanted any more convincing. When your horse dies it's the worst thing ever and knowing that you can trust someone to not only make a super job of turning the precious piece of hair you took in those last sad moments, into something you can keep forever, but you returned the rest of the hair safely so we can take care of that in case we decide to have something else made. Kind regards, Lisa Van Den Heuvel. Thank you so much for the beautiful jewellery you made for me from my dear old pony Blanche. I miss her so much but the necklace and earrings are a wonderful memory and wearing them makes me feel closer to her and are something I can treasure for always. Kind regards, Donna. My bracelet arrived safely this morning and I am so pleased with it. I have passed your details on to two of my friends so I hope they get in touch. Again, thank you, Belinda Palin. The bracelet arrived this morning and it's beautiful, I'm really pleased with it. The size is perfect, it looks lovely with that little piece of chain in it. Again, thank you very much. Best wishes, Susan H.
Just wanted to say a massive thank you for the bracelet. It is perfect! Thank you, thank you, thank you! 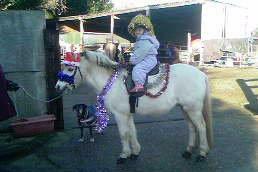 All my horse owning friends are as impressed as I am and I'm sure will be placing orders. I have attached a photo of Maverick. Kindest regards, Lisa. I received the bracelet. I am over the moon with it. It is such a lovely memento of my old fella. I wear it all the while. My work colleagues were amazed that jewellery can be made in such a way. Thank you so much. 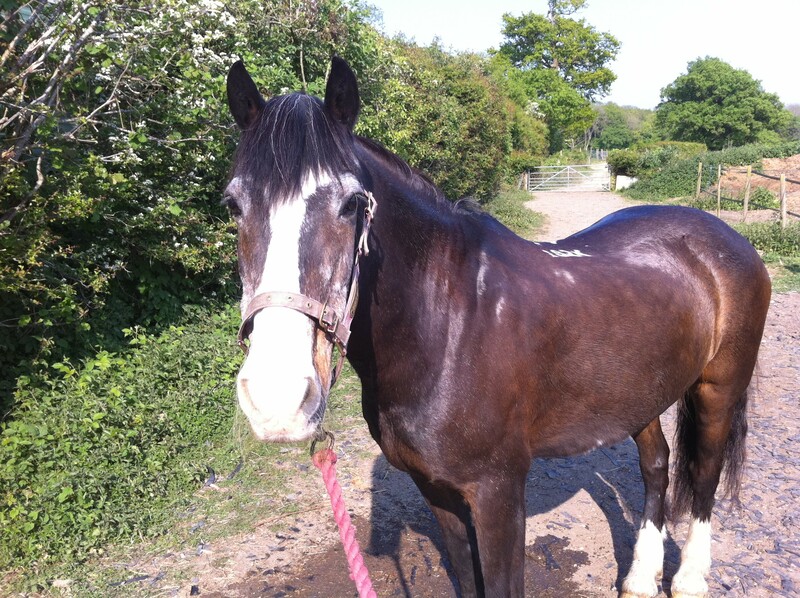 I will highly recommend you to my other horsey friends. 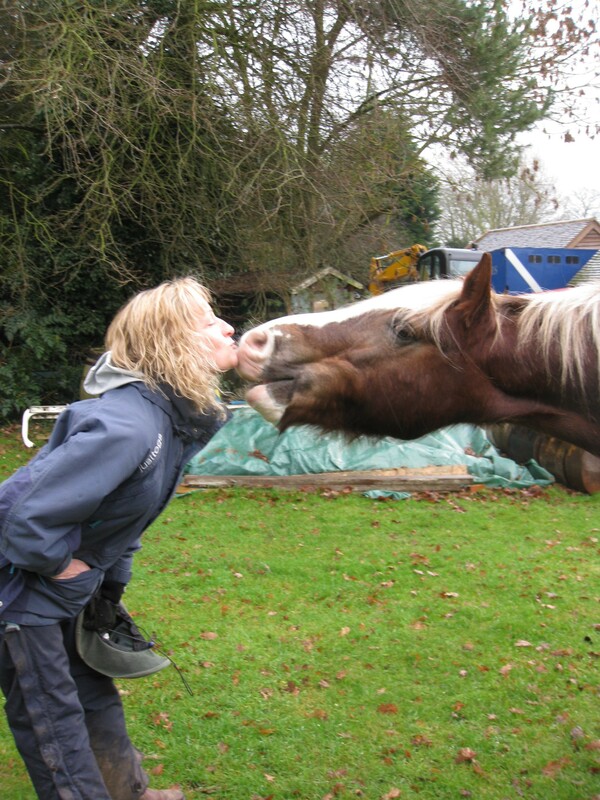 I have attached a piccy of us. He was around 28 years old on this one. With kind regards, Mandy. The bracelet was fantastic, it was the perfect gift for my wife, who has stated it will remain on her wrist forever. 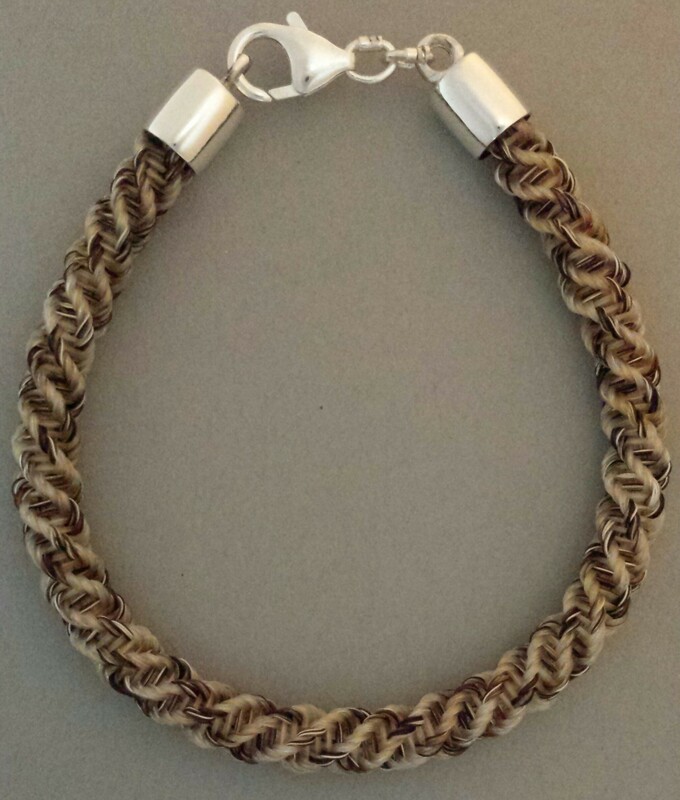 Your service is outstanding and the bracelet did amaze me as I could not fathom how you could make such a beautiful looking piece of jewellery from horse hair. But you did. Thank you so much and I will be recommending you to anyone who will listen. Many thanks again. Kind regards. Wayne Cottle. Everything has arrived safely and 'E' and I are delighted. The quality is superb. 'L' doesn't know she will be getting one too for her birthday at the end of May. 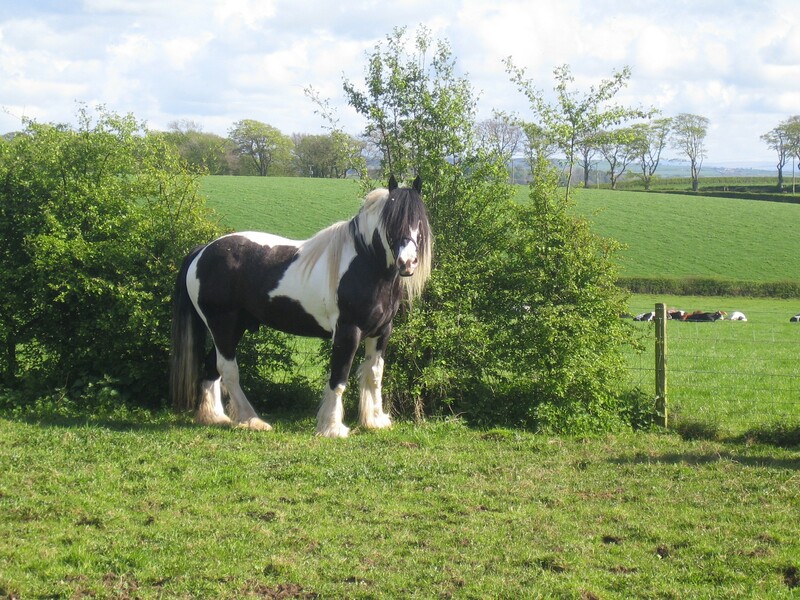 It is a lovely reminder of a fantastic family horse who gave so many people so much pleasure. Many thanks. M.T. Just to let you know that I have received my choker and the bracelet, for my daughter's birthday. They are both lovely, I am wearing my choker as I type this and will probably not take it off for a long time. It makes me feel close to Blue and I want to show it to everybody. 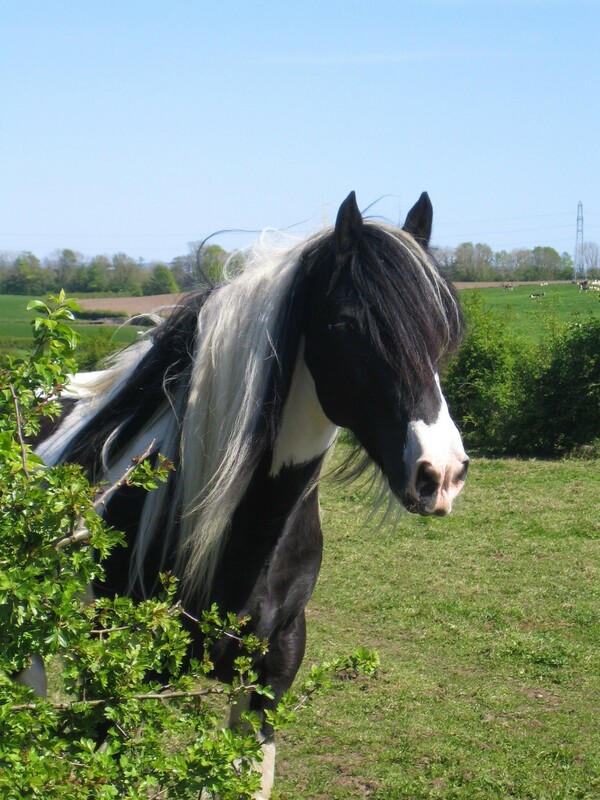 They won't believe what lovely things can be made from horsehair and I'm going to Brackenhurst Equestrian College tomorrow, so I'll have lots of people to show it off to. 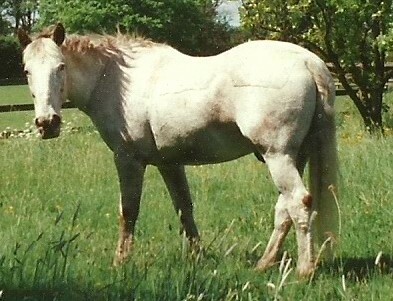 We had Blue for 11 years and she was the sweetest horse I have ever had ( I have 3 others). 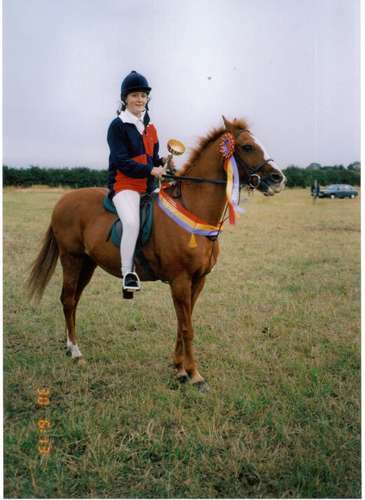 She had very aggressive melanomas for 9 years but was a terrific endurance pony, up until May last year. My friend Julie Chapman rode her then. Our jewellery is a great keepsake for her memory. You should feel proud that your talent for making it provides such lasting, sentimental pleasure for people like us. Kind regards, Annette Goodman. The bracelets are just perfect, thank you so much. Puzzle has been in our family for over 20 years and is much loved. At the age of 33 he is still doing great and still thinks he is 3 rather than 33. The bracelets will be cherished forever. 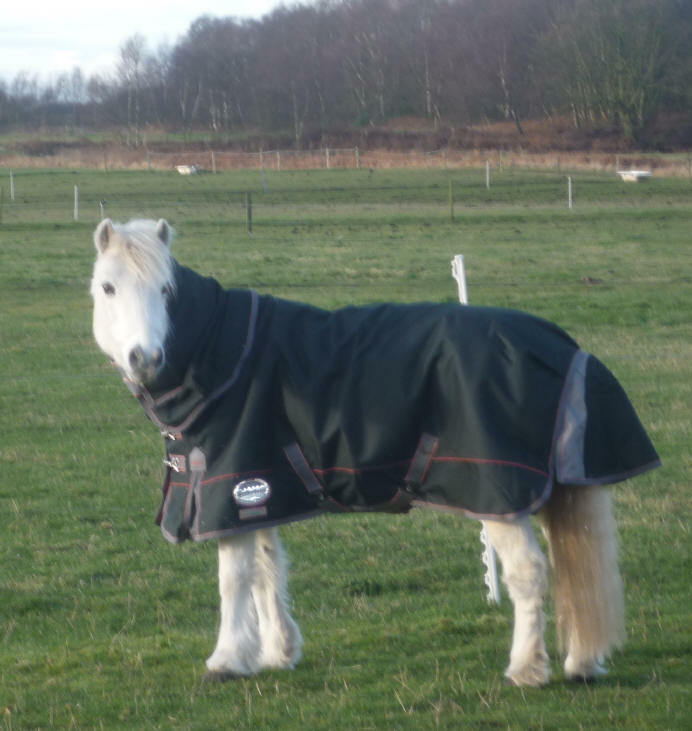 I have no doubt that my fellow horse owner friends will be ordering shortly. Many thanks, E.C. 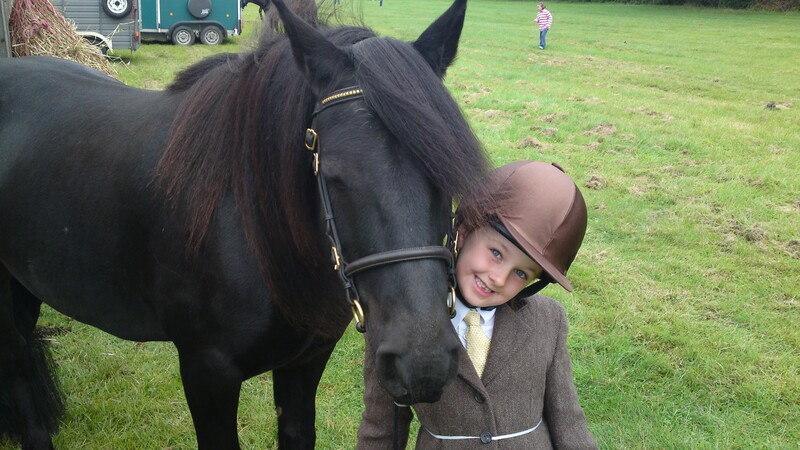 Thank you so much for making the beautiful horse hair jewellery. I am absolutely thrilled with them – what a wonderful birthday present. Thank you again and especially thank you for making it in time for my birthday. The hair belongs to Monty who I have on loan. However, it was a wonderful surprise to learn that my husband had bought Monty for me for my birthday - so to also receive such beautiful jewellery made from his tail made them even more special. A physical treasure I will be able to keep forever. Thank you. Janet Lofthouse. Just to let you know my bracelets arrived safely today. 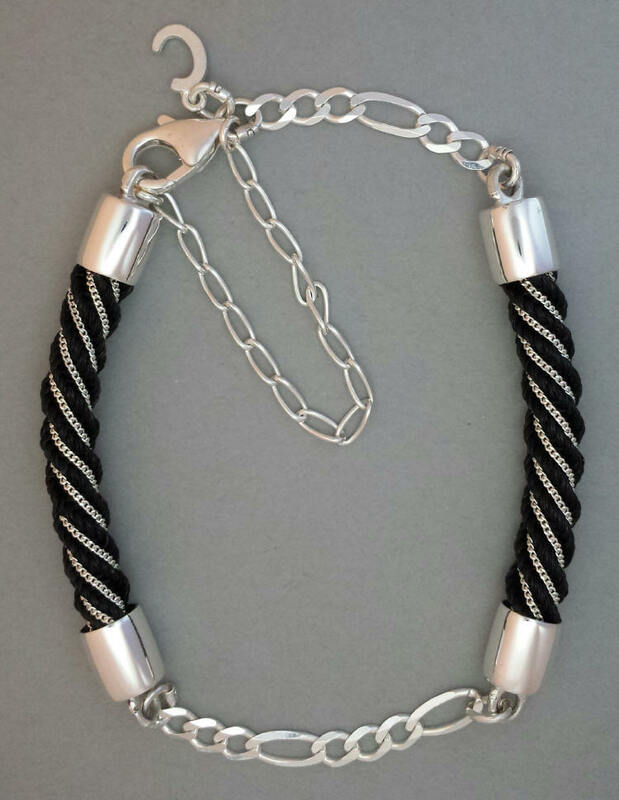 The quality of the workmanship is superb; the bracelets are beautiful and really striking with the black and white hair intertwined. 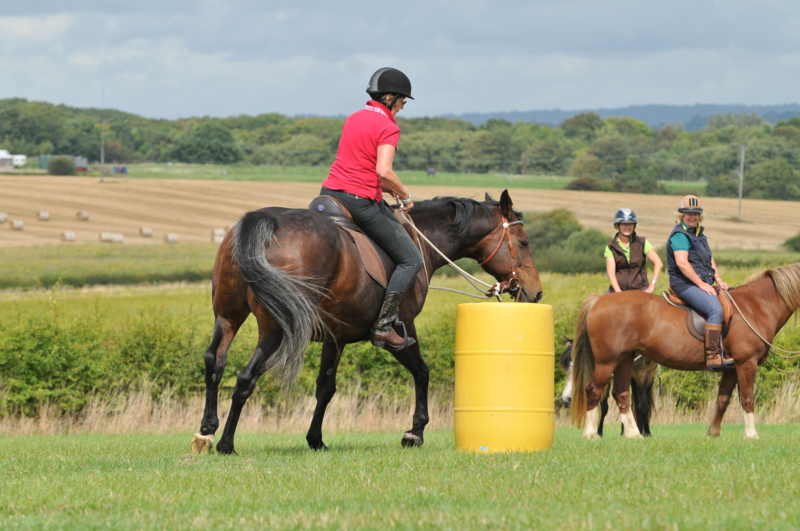 They will be a fantastic reminder to myself and my mother of our two wonderful horses Guinness and Storm. 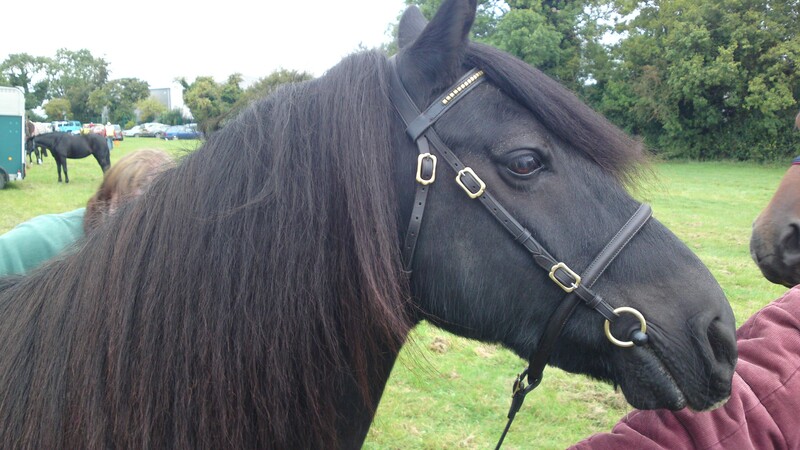 I will recommend your horse hair jewellery to my friends and hope to add to my collection as I have some hair remaining. Best regards and many thanks, Fiona Burnard. Just to let you know my bracelet arrived this morning and it's lovely. Thank you very much. Sarah Marshall. I just wanted to drop you a line to say thank you so much for my beautiful bracelet that arrived today and the certificate that has come with it just makes it complete. I felt very emotional opening the package but feel happy knowing that I have something very beautiful made from Harri's own hair and something that I can treasure along with my memories. Louise. Just to let you know the necklace arrived safely today - I am utterly thrilled with it. It's the perfect memento of Alf. Thank you so, so much. Lucy Morley. Just wanted to let you know I've received the bracelet and it's lovely. Thank you very much. S. W.
Hi Kath. The bracelet arrived this morning, it's beautiful. I gave it to my friend Alison & she loved it. 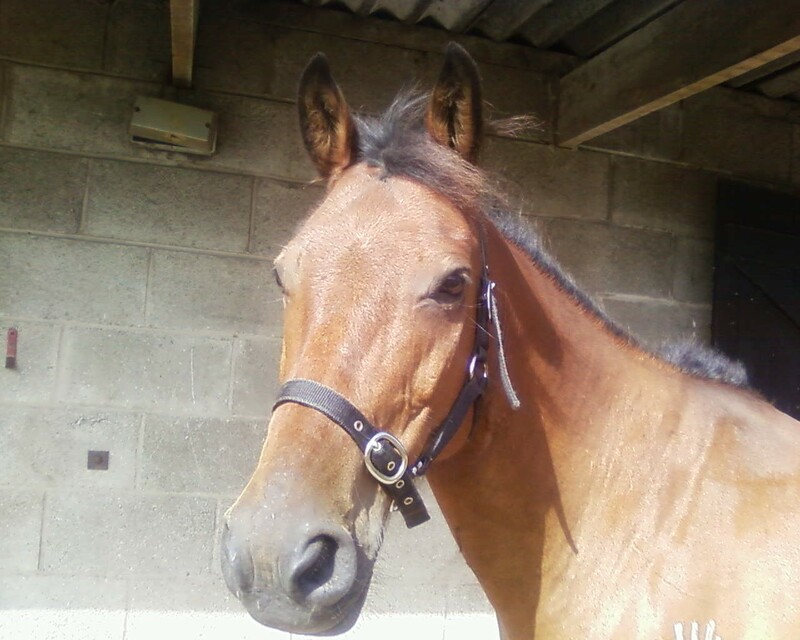 It made her cry but in a good way as she now has something of "Tilly" that she can keep forever, I will definitely recommend your jewellery to all my friends as it is a lovely keepsake of our special horses. Thank you so much for all your help. Mrs T.H. Hi, just like to say thank you for the lovely necklace you made me in memory of Archie (Whalton Panache). I really love it and wear it all the time. It's nearly a year since Archie was put down through cancer but I feel he's with me all the time now (much better than a pot of ash). I've enclosed a pic of Archie for you to see. 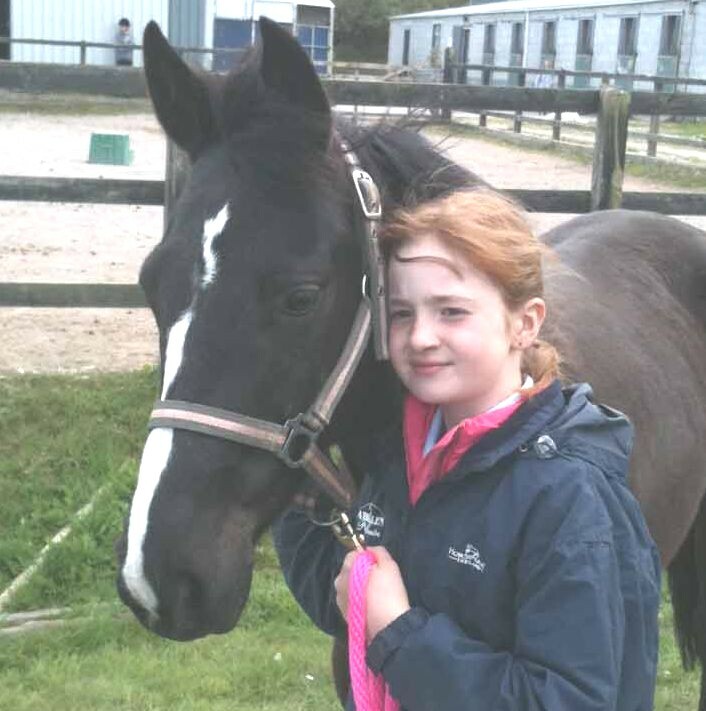 He was a 13.2 riding pony that my 2 daughters used to compete. We bought him when he was 16 and he died when he was 29. Thanks, Chris. Thanks for the necklace & bracelet. They are beautiful and we are really pleased. Thanks again. Mrs P.
Hi Kath, I just wanted to say thank you very much for my lovely pieces of jewellery. They are very beautiful and I am thrilled with them. Thank you once again for doing such a wonderful job with them – I will treasure them forever and will most certainly recommend you to my friends. Kindest regards, Mrs K.D.